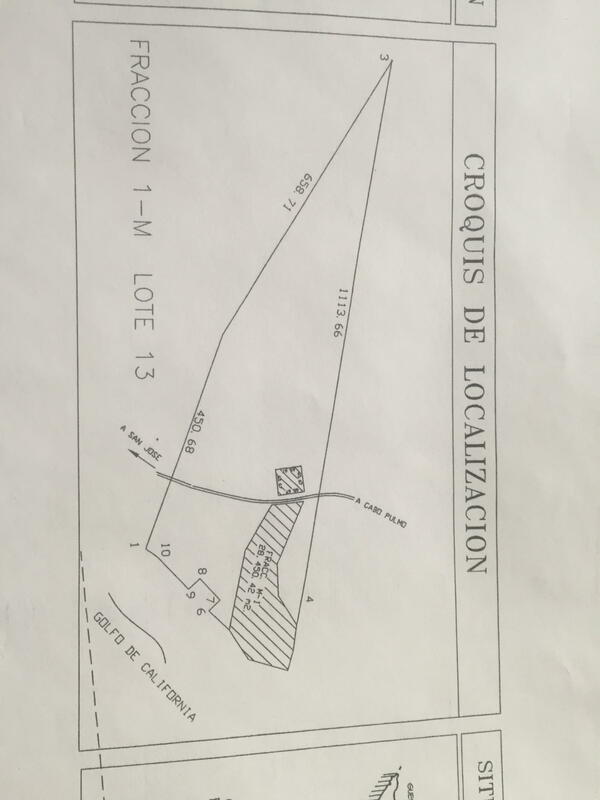 Description: .All Utilities.Development opportunity consisting of 39 Hectares.96 Acres. 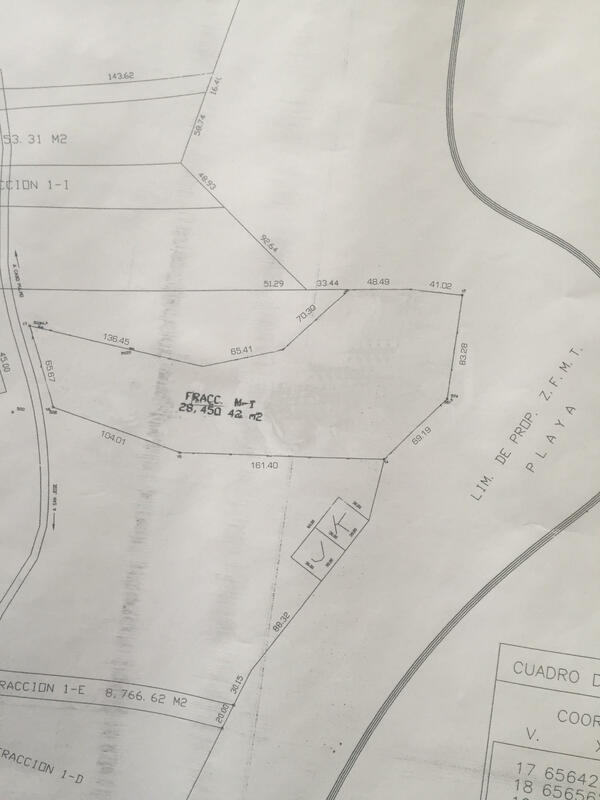 391,910.761 Square Meters.$47.00 USD per Square Meter. 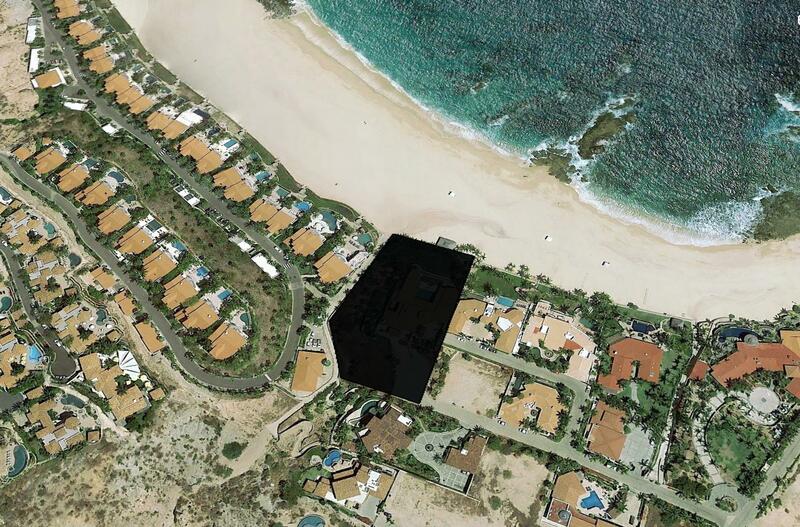 Beachfront: 860 Meters. 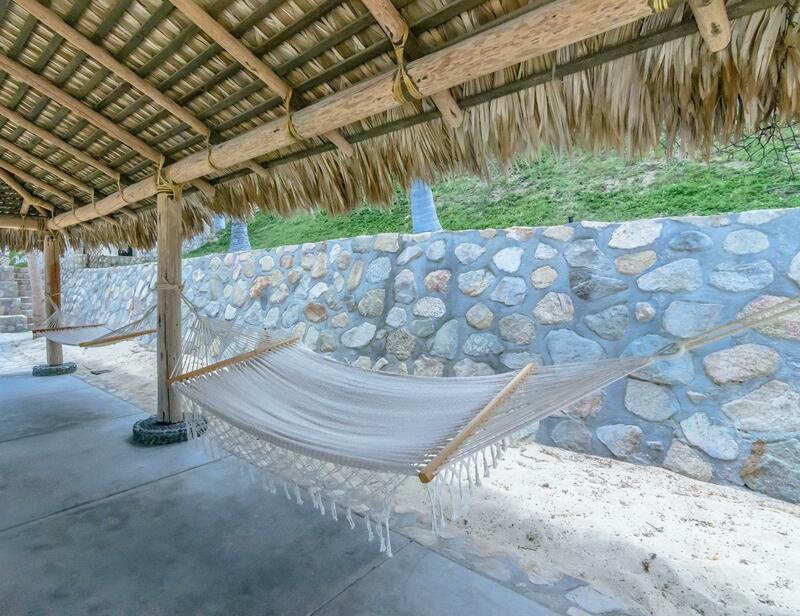 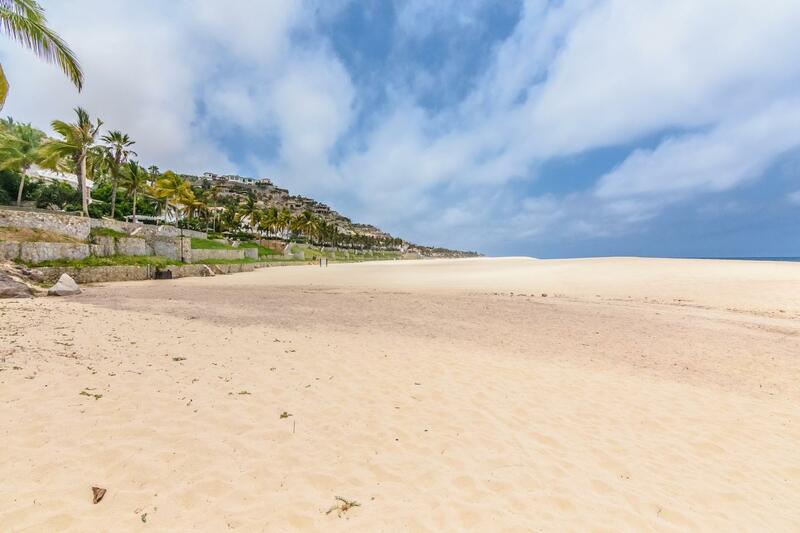 2,821 Feet Beachfront.All Utilities. 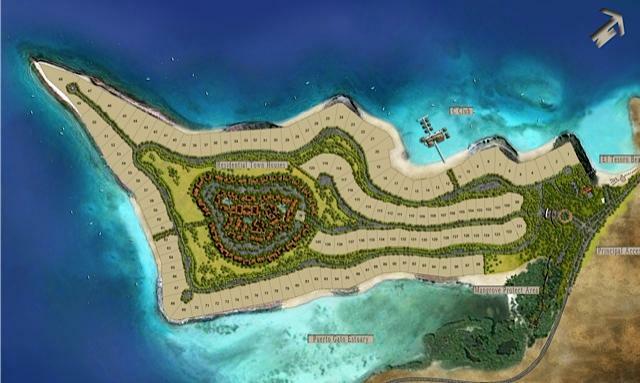 Possible 350 Room Resort Hotel / Spa Property. 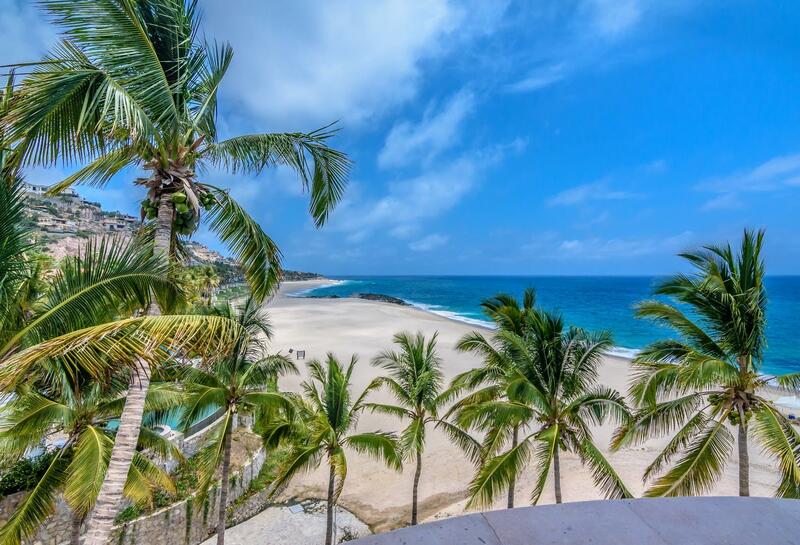 Fantastic Ocean Front and Views. 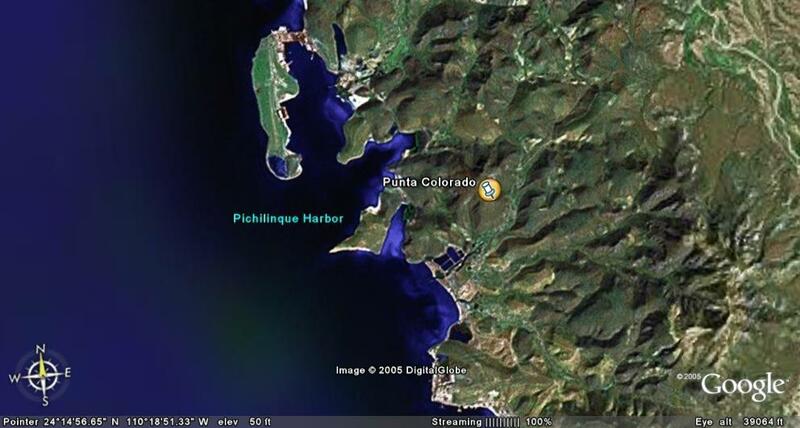 World Class Sport Fishing.Water Sports. 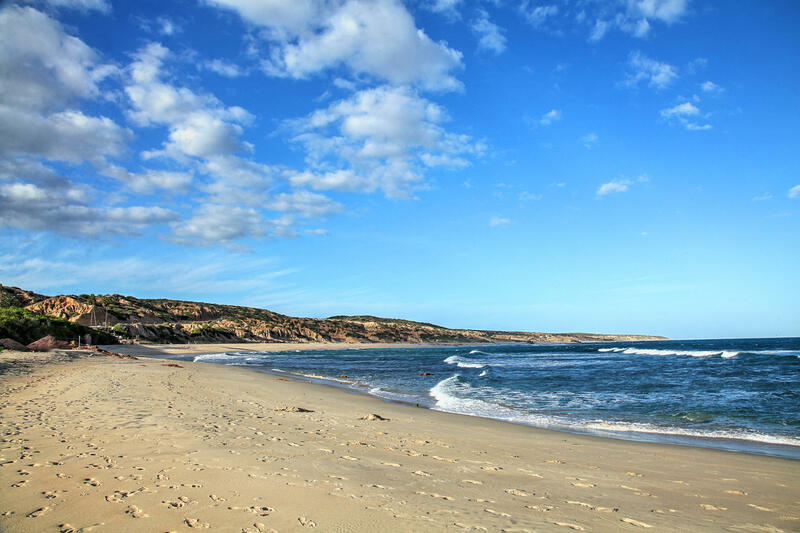 Safe Swimming beach. 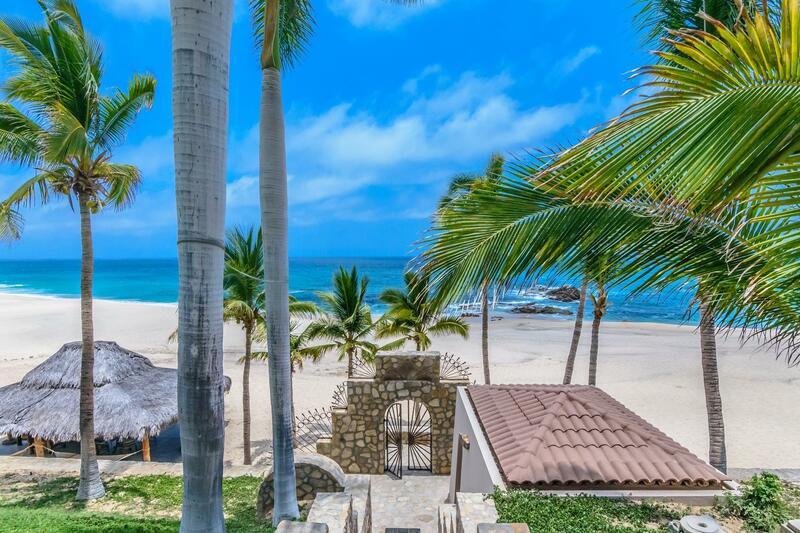 ''Costa Palmas'' Four Seasons Resort Nearby.$ 52.00 usd per key. 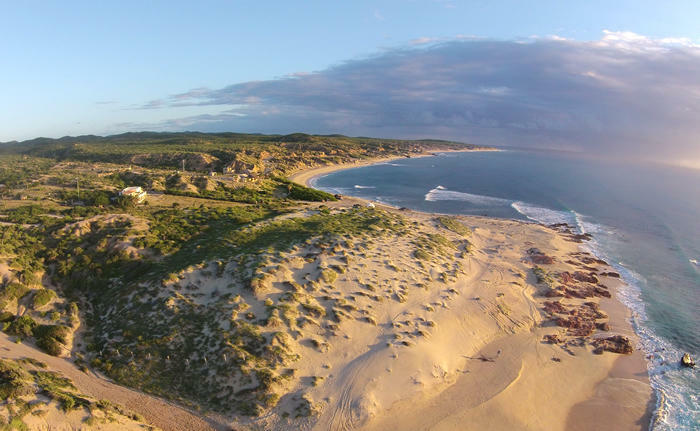 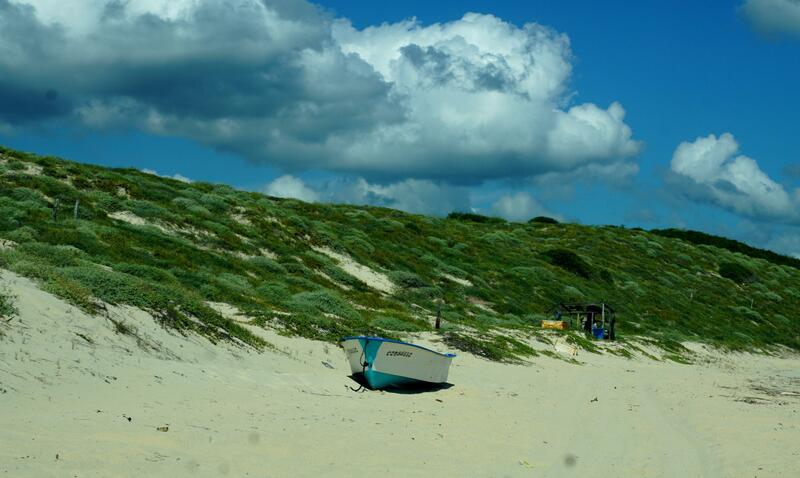 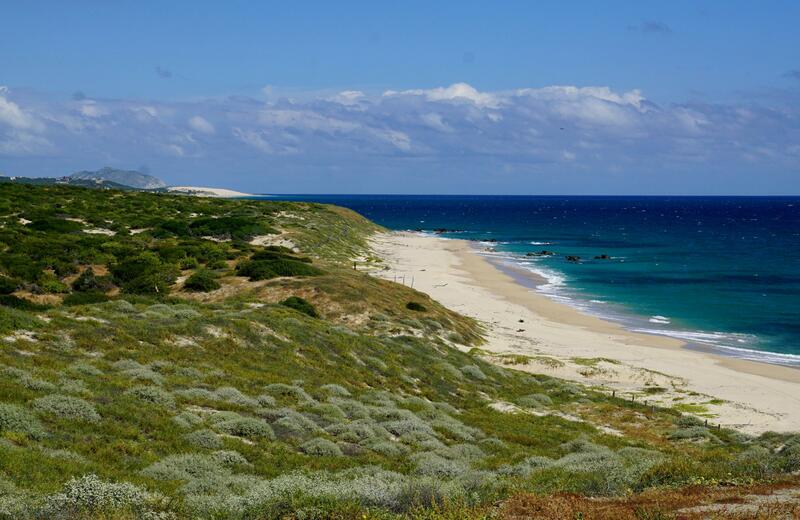 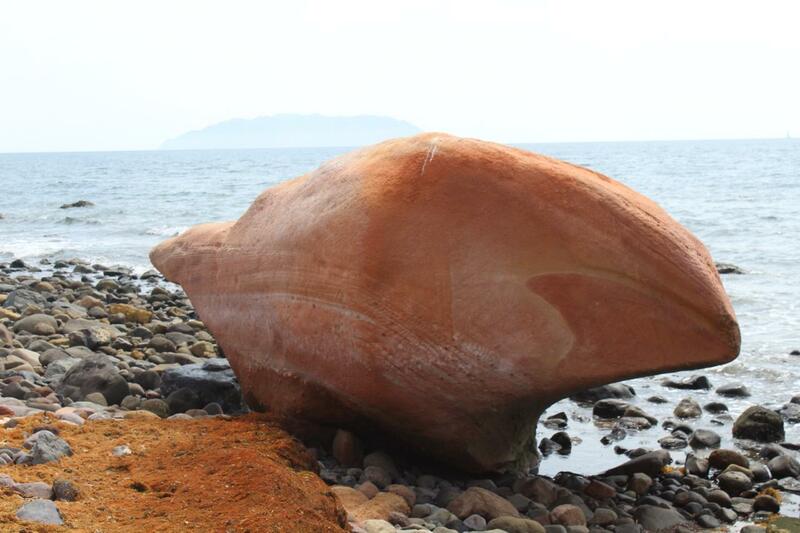 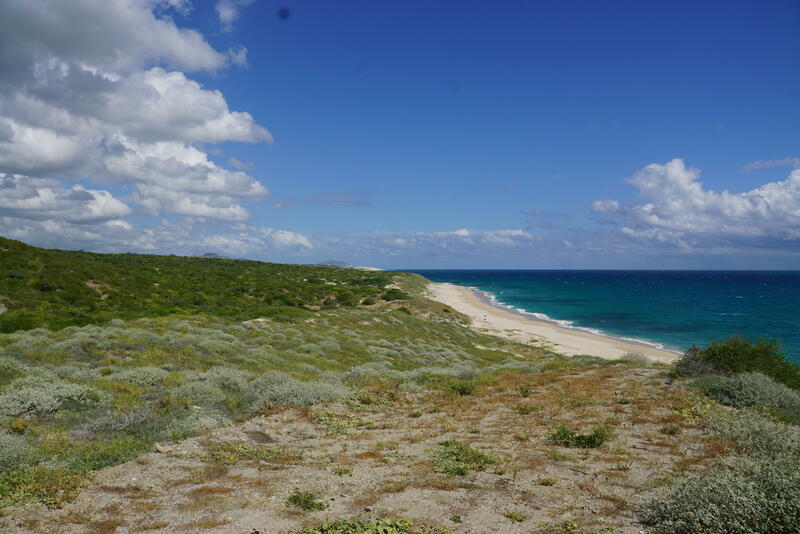 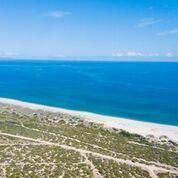 Description: A true opportunity to aquire a beach front developer parcel at an incredible Price. 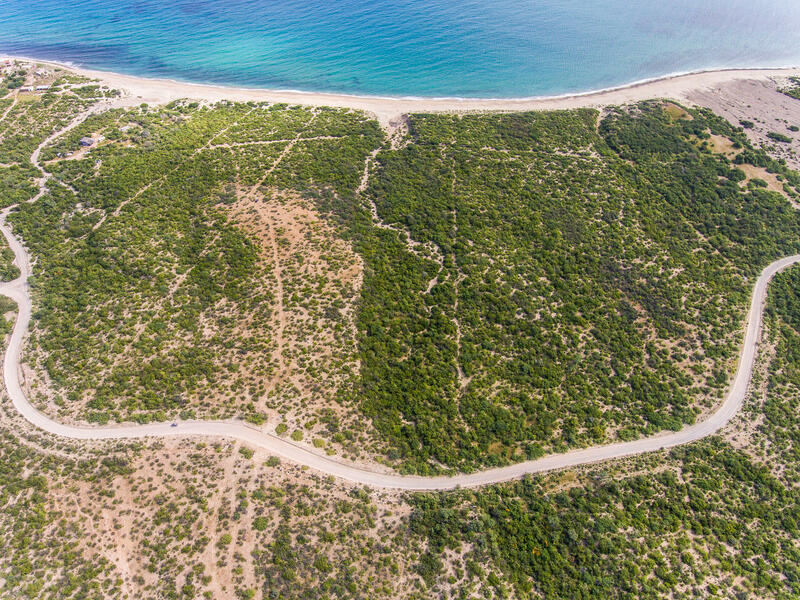 Pindojo ''Lot B'' offers 600 linear meters (1,968.5 feet) of prime beach frontage and a total of 371.276 Hectars (3,712,760 square meters) or 919 acres. 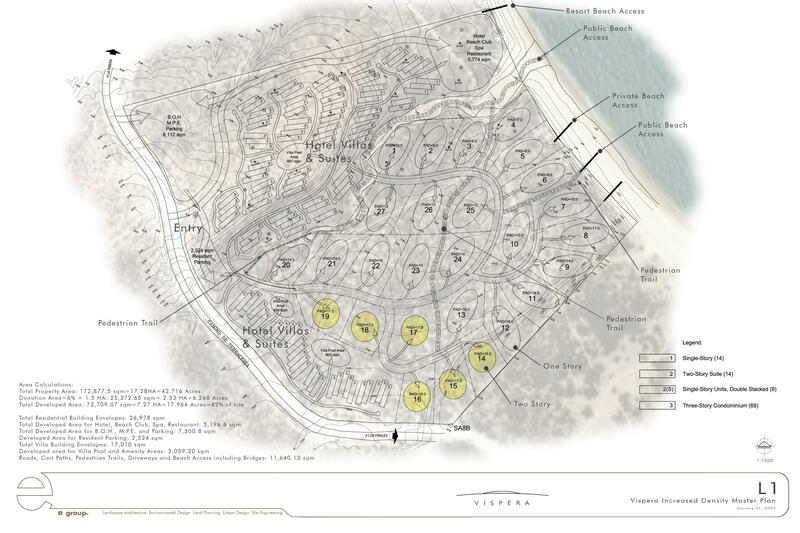 The low density zoning allows for a subdivision of large parcels or even horse ranches, yet the large area can also be used to the benefit of a large hotel, boutique hotel, beach club or condo project. 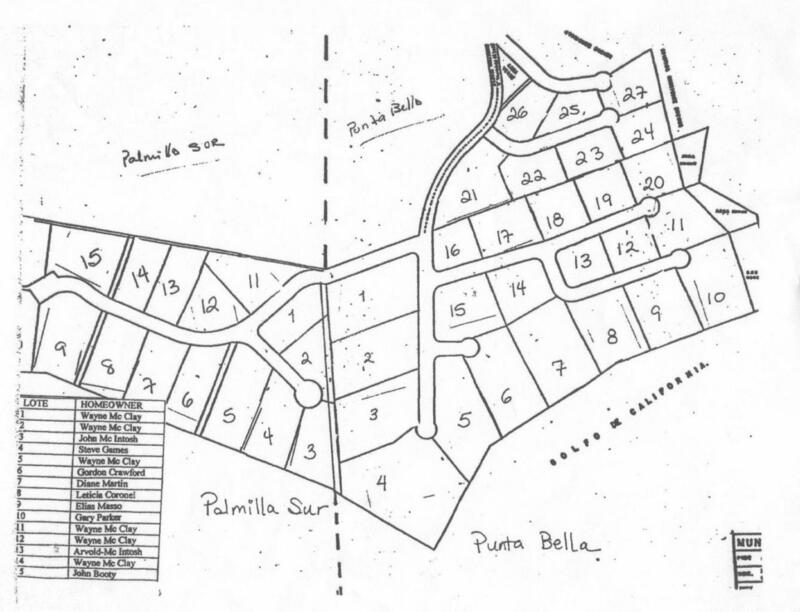 The ideal project will be a mixed use development.Pindojo is located just north of the Palo Escopeta intersection with the East Cape Road. 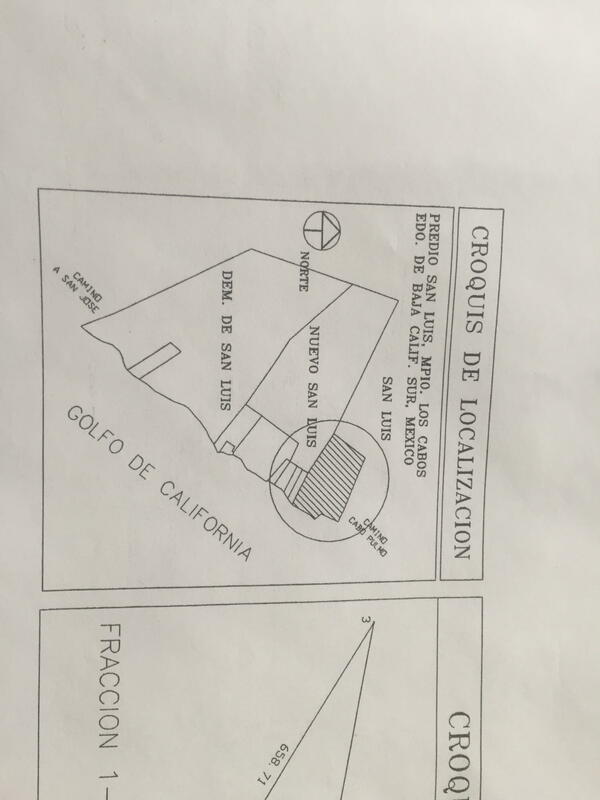 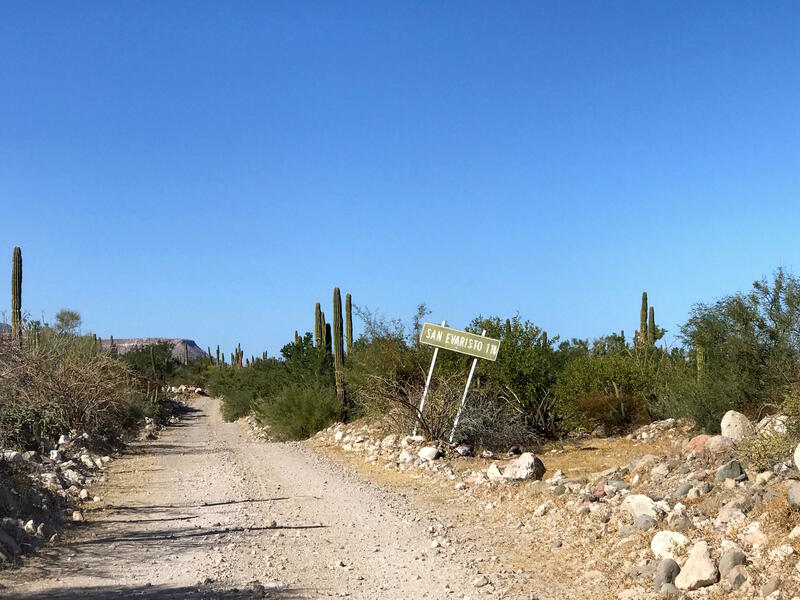 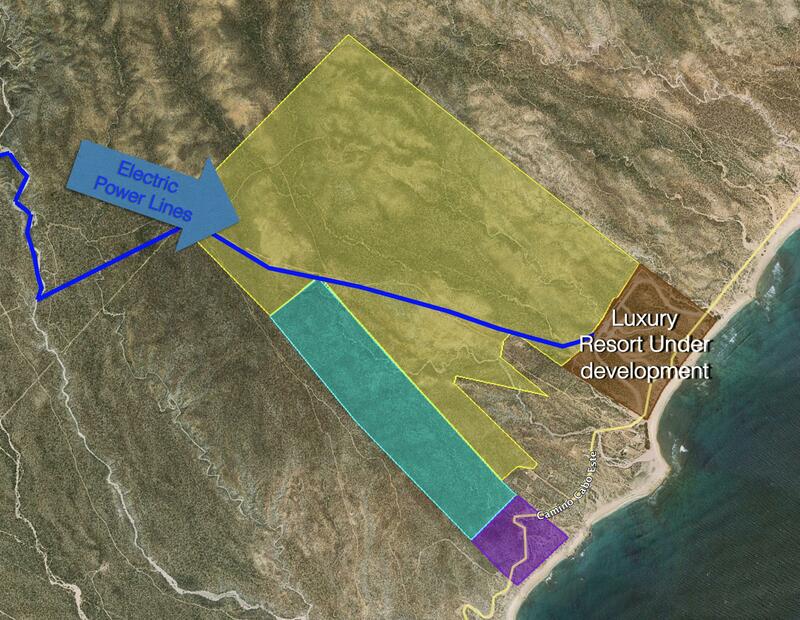 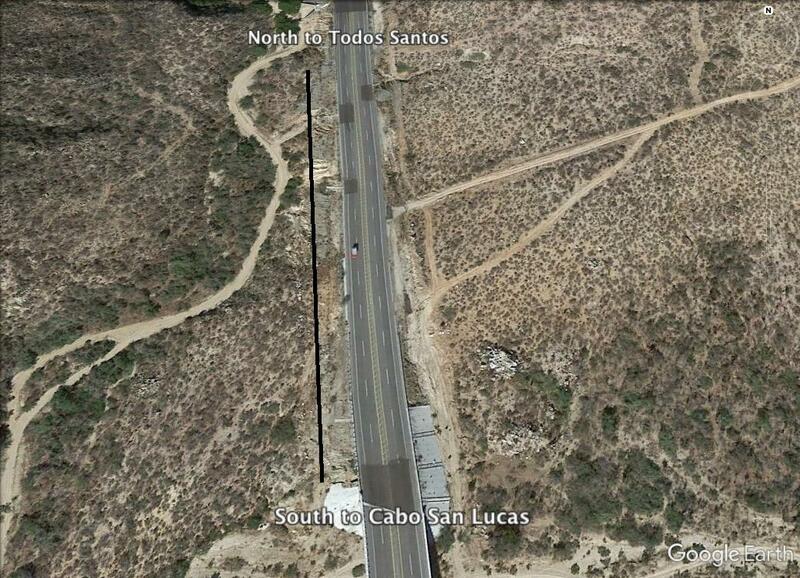 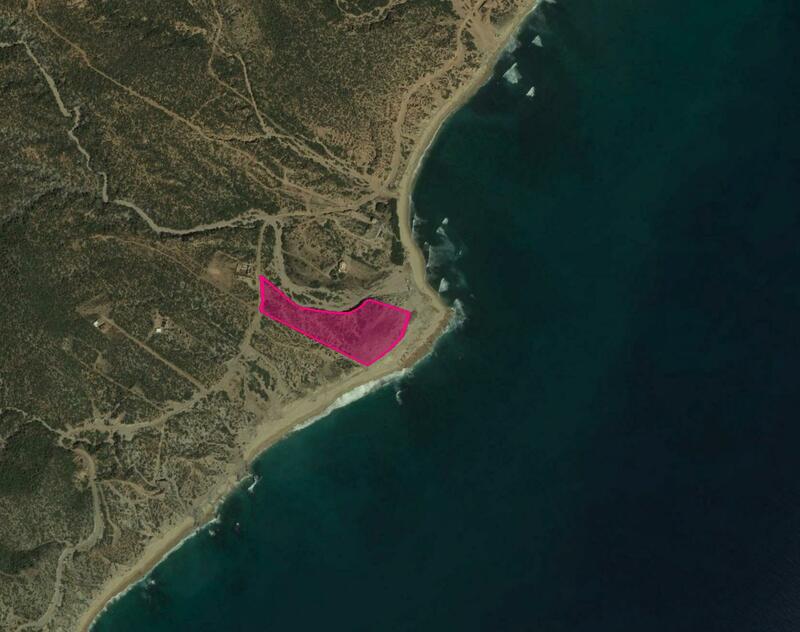 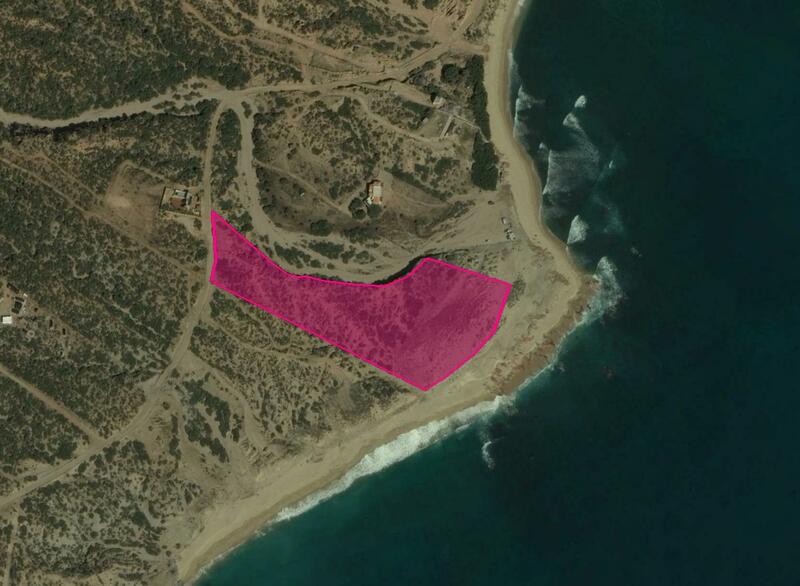 One may access this area by either one of the roads and there is currently a plan to develop a four lane highway connecting this area to the Los Cabos International Airport. 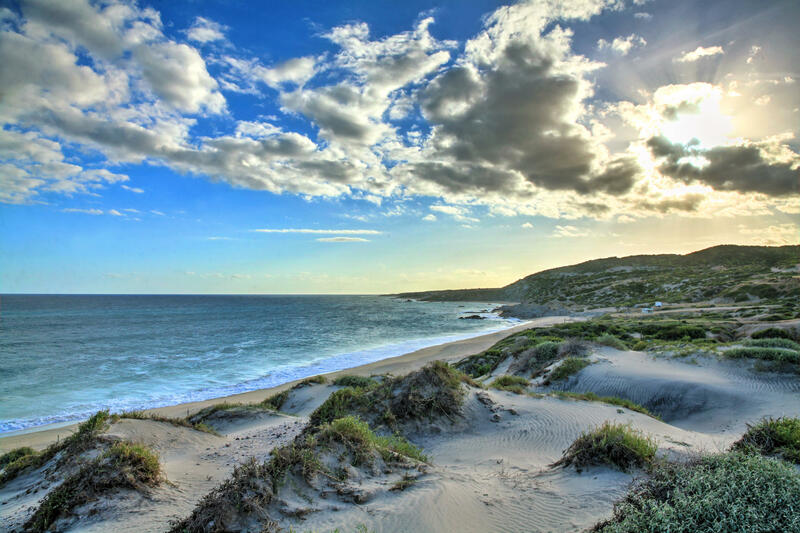 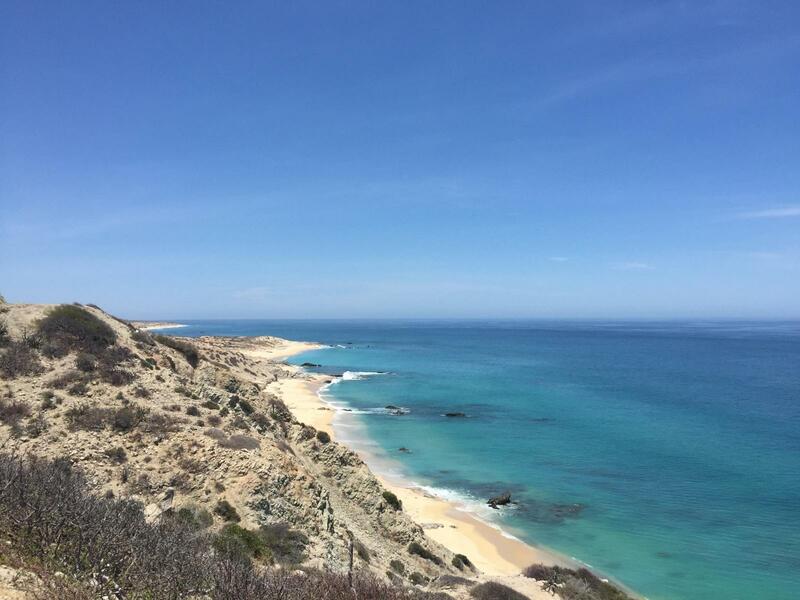 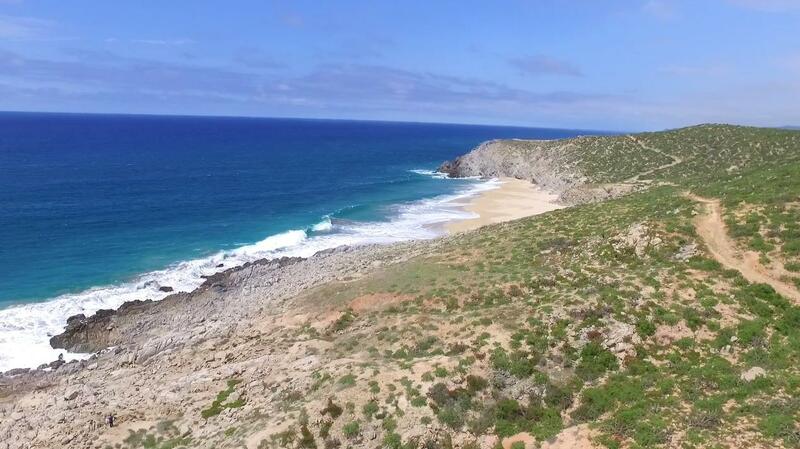 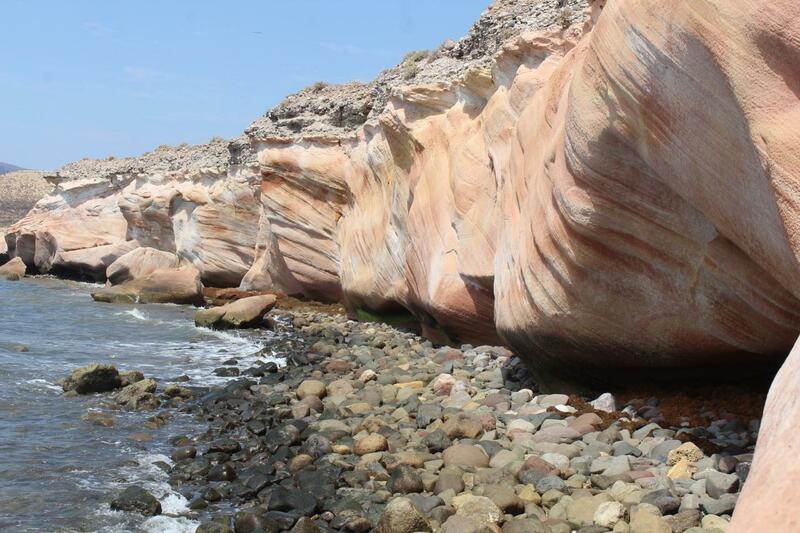 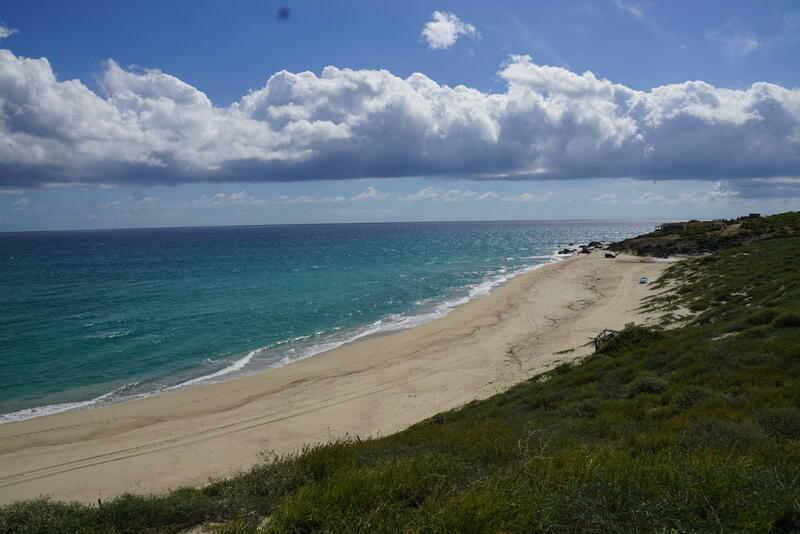 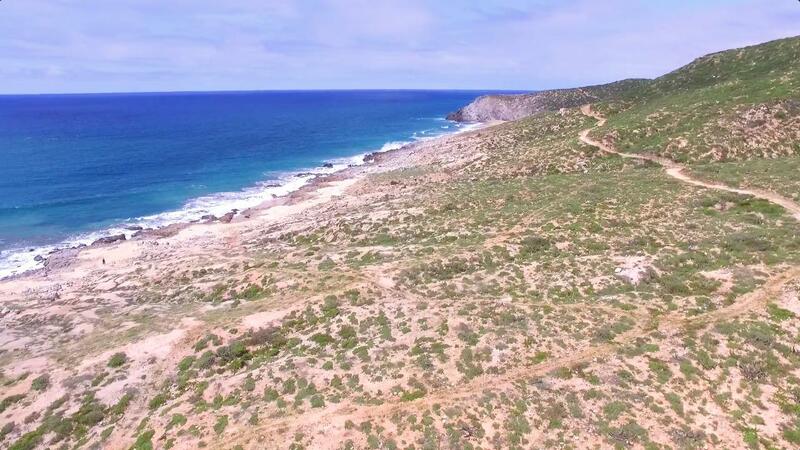 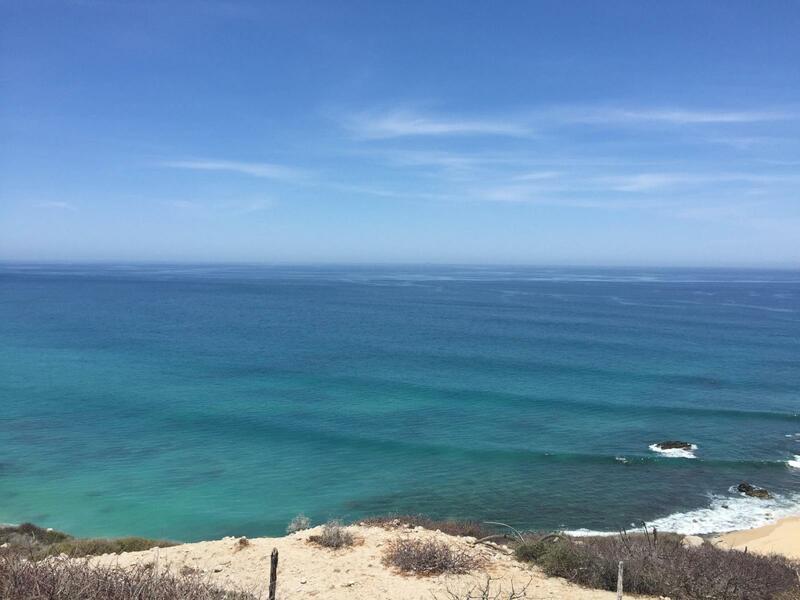 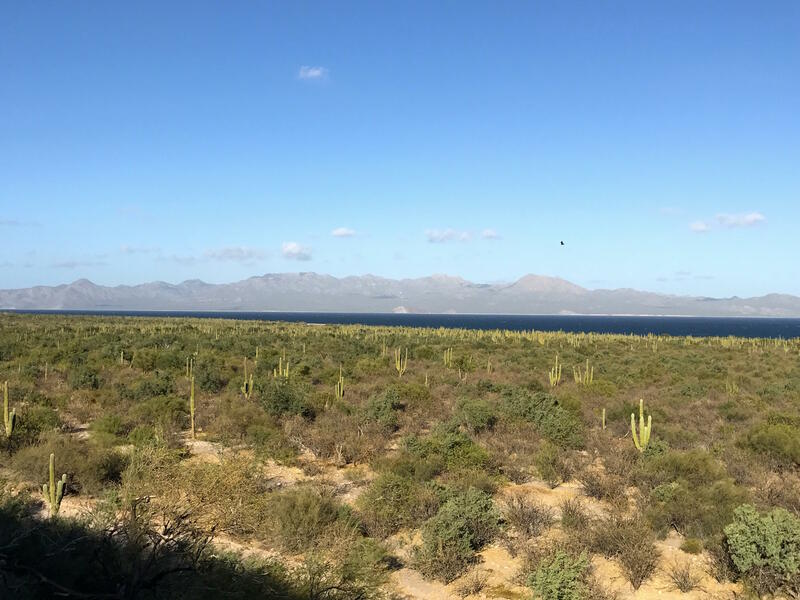 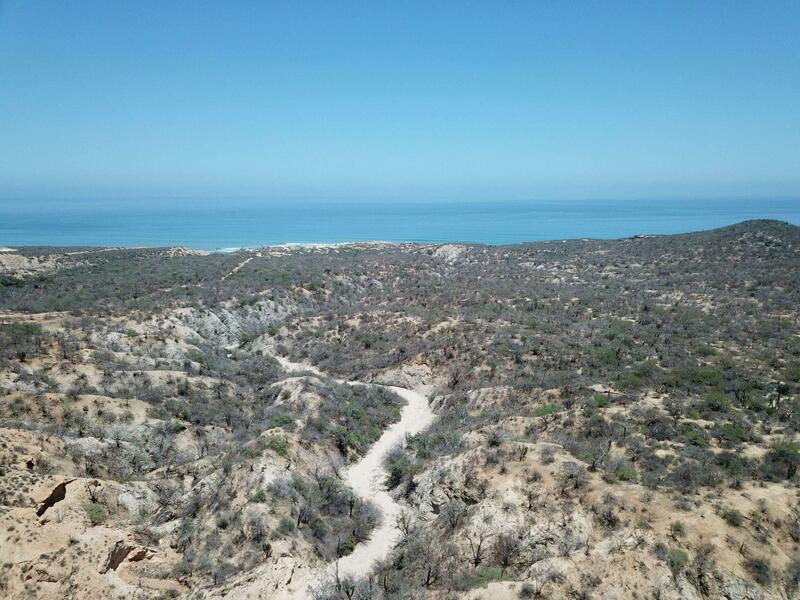 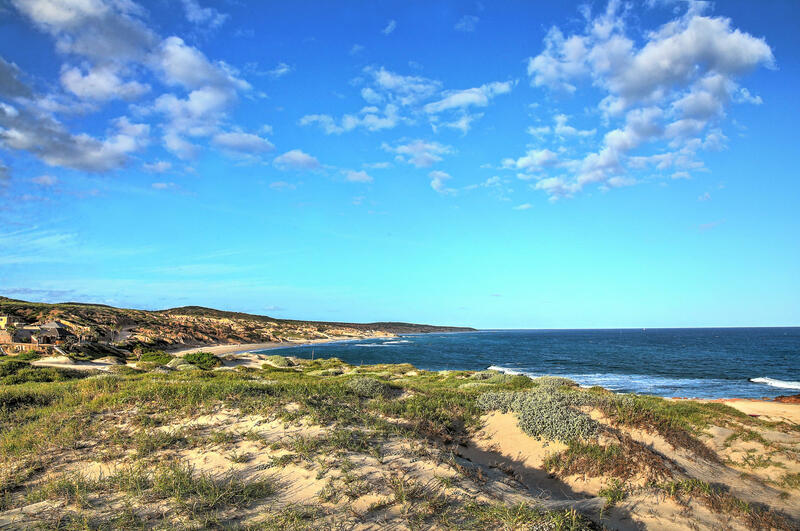 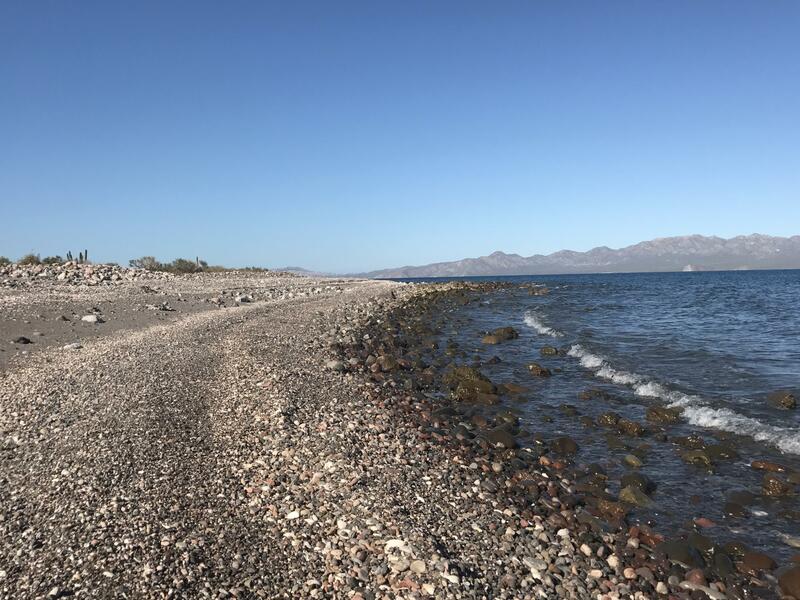 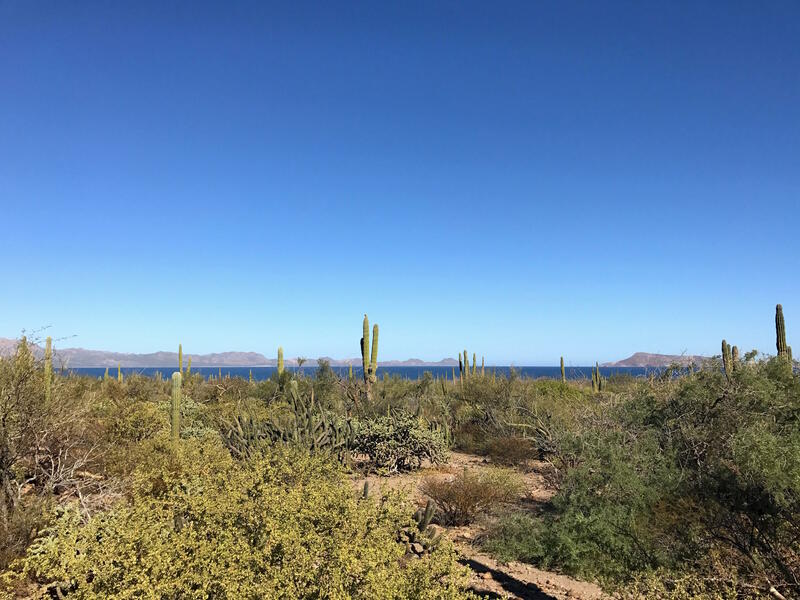 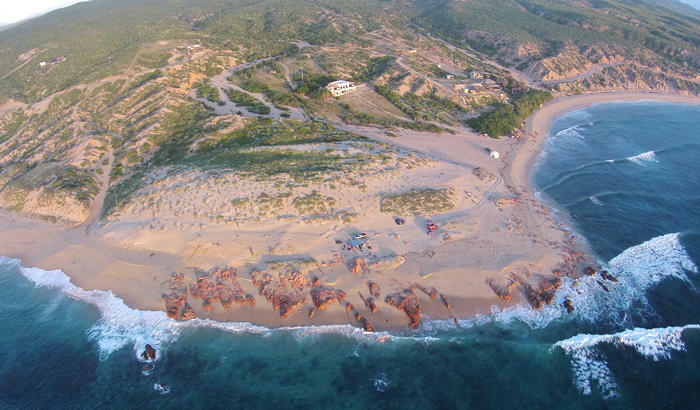 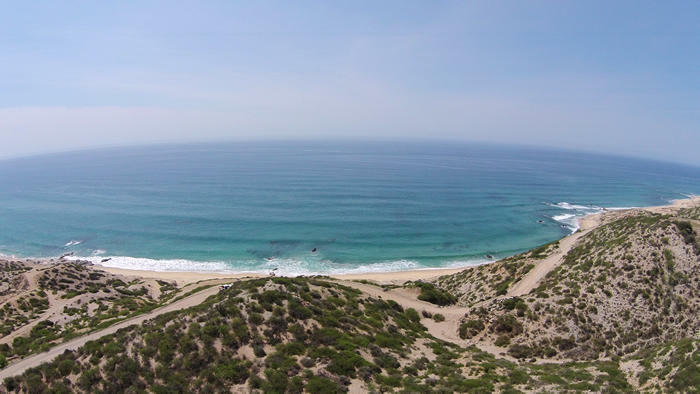 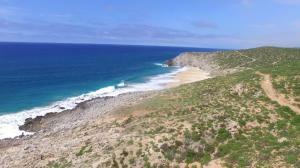 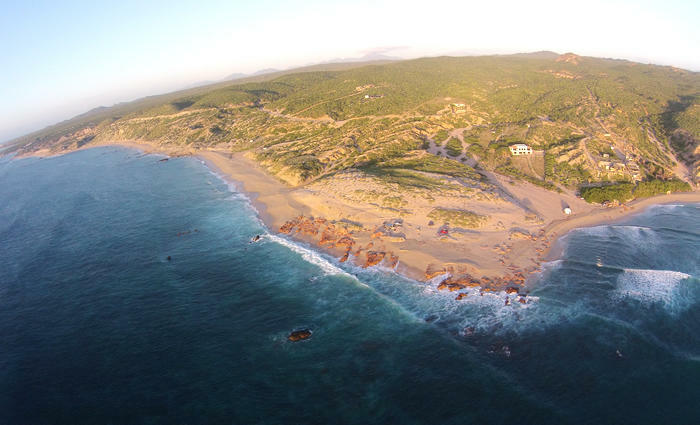 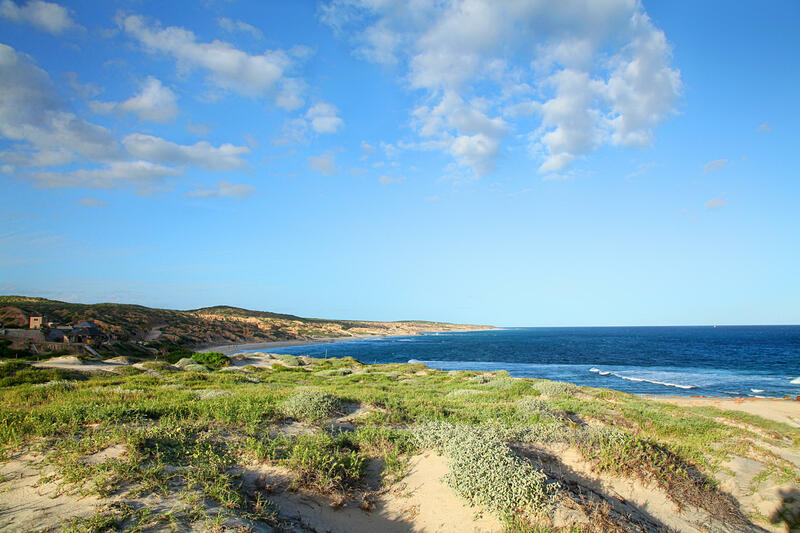 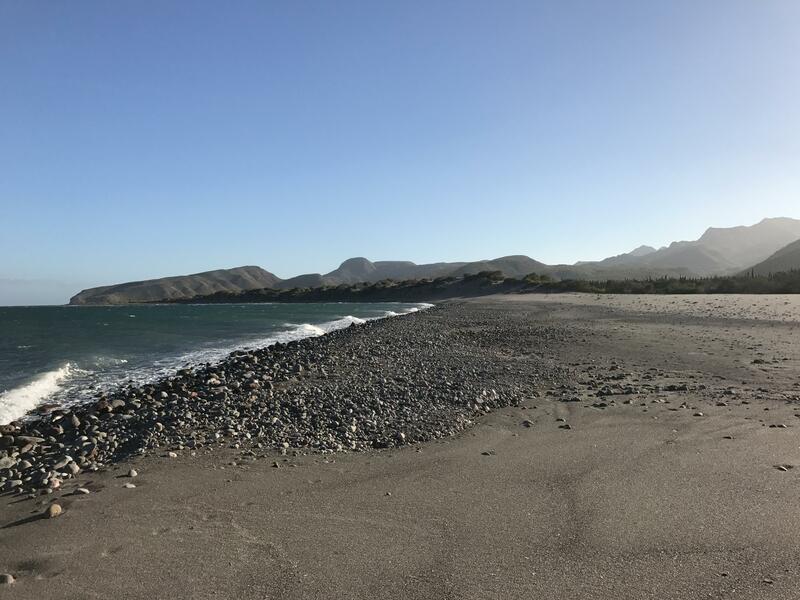 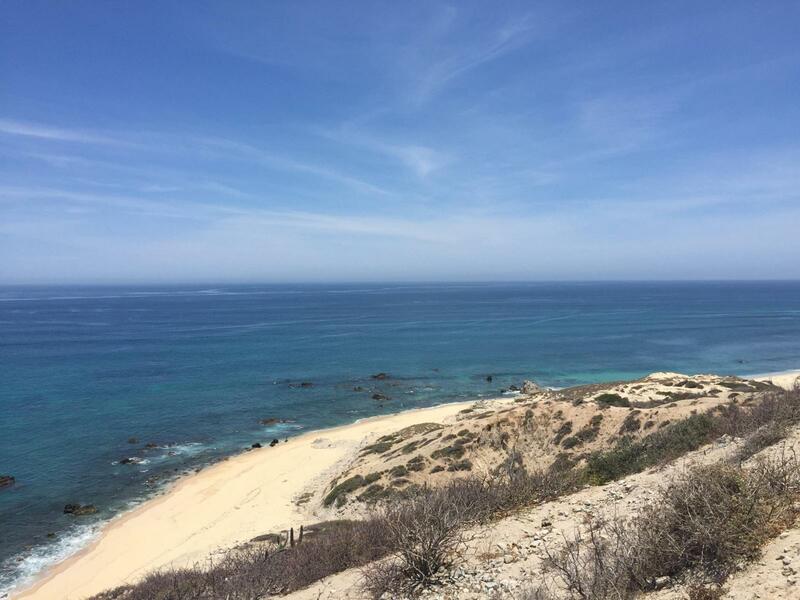 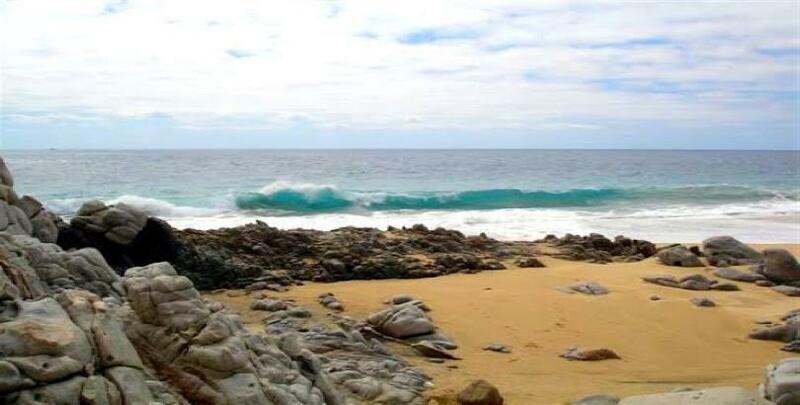 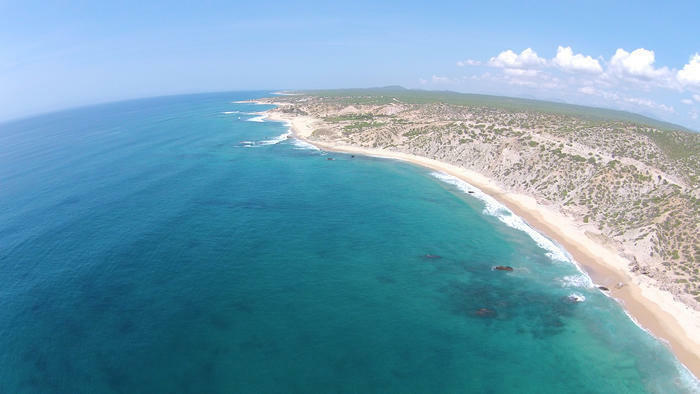 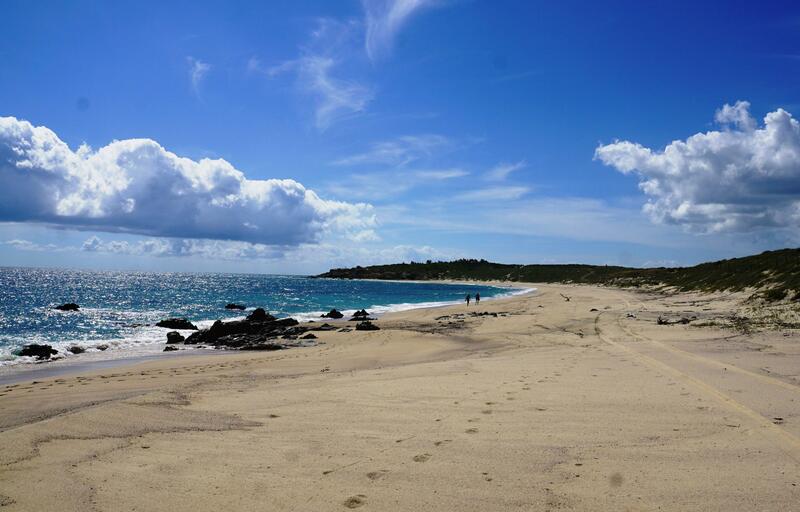 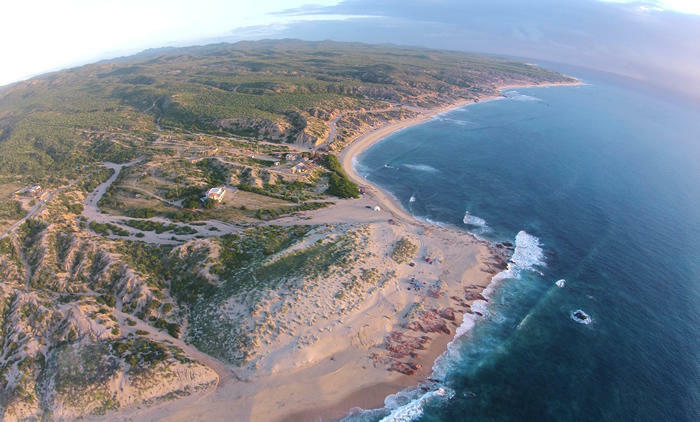 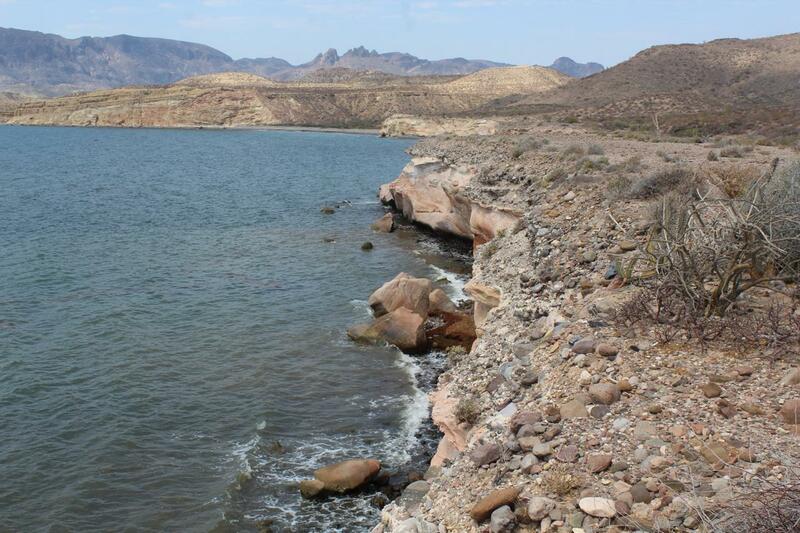 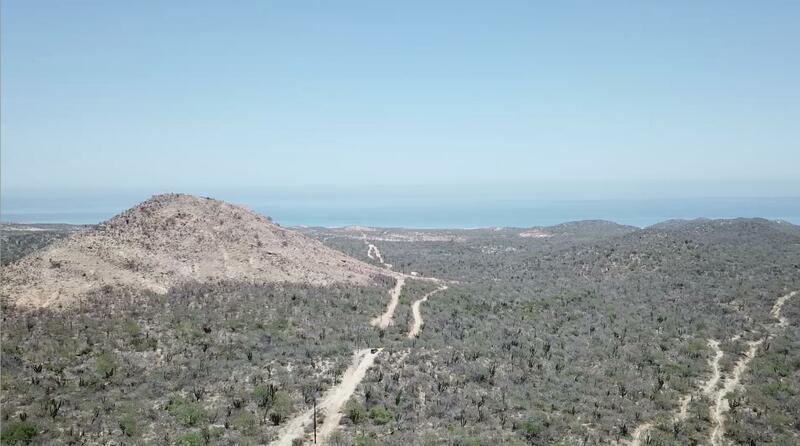 Description: In the Baja Peninsula, truly exceptional and topographically astonishing beachfront parcels can be hard to find, let alone available for Purchase with beach concessions and a Title Insurance Policy from Stewart Title in Houston Texas. 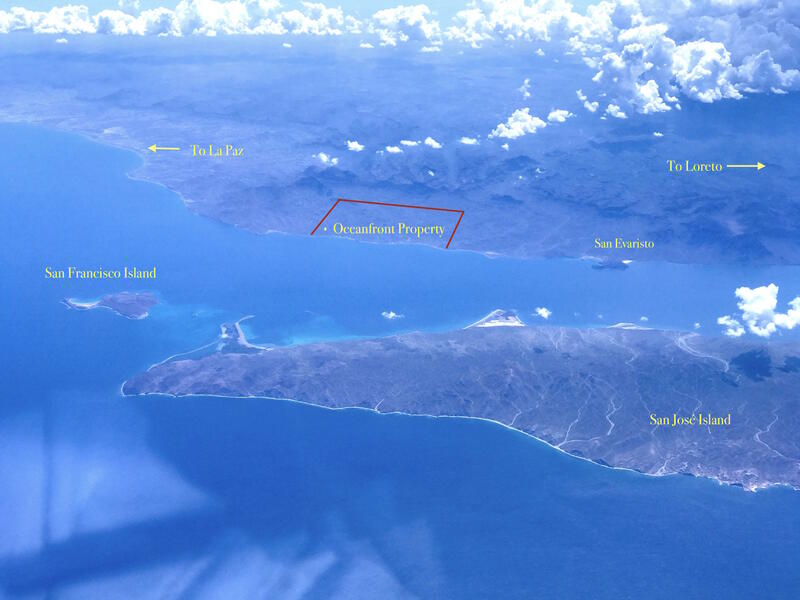 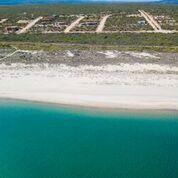 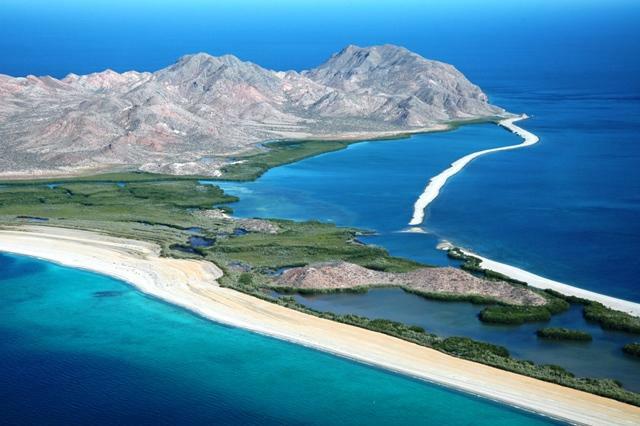 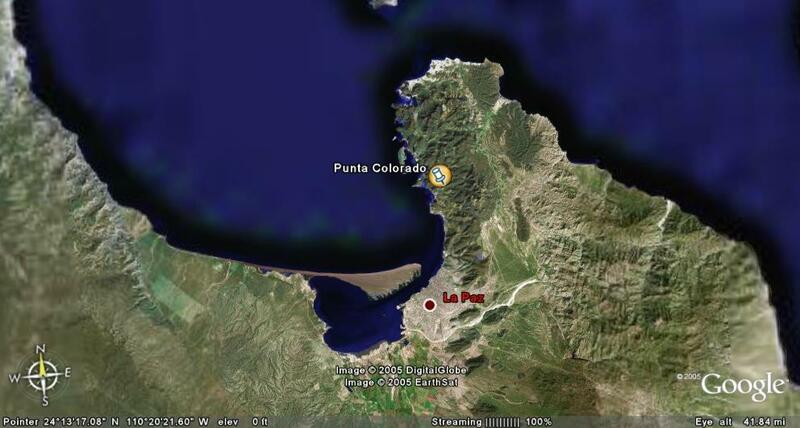 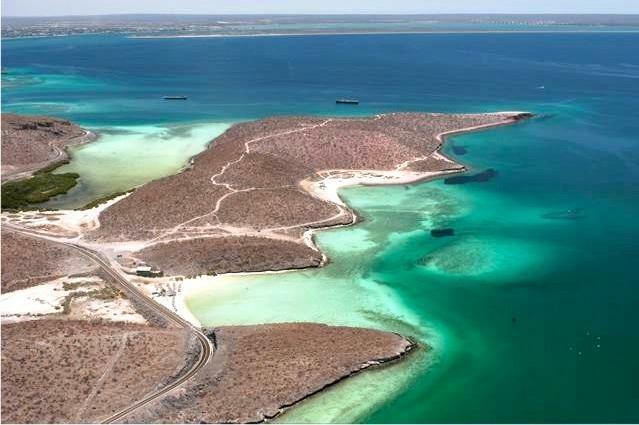 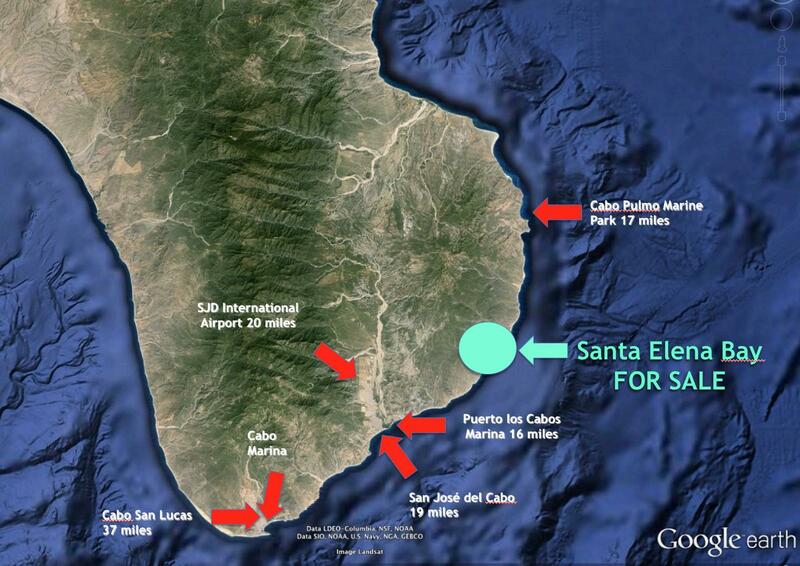 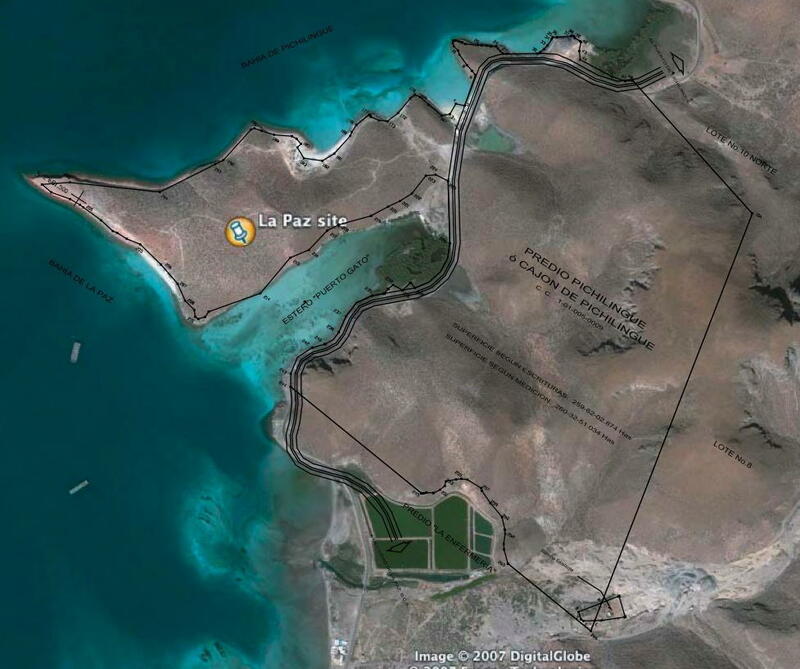 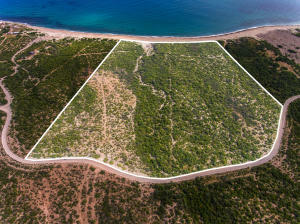 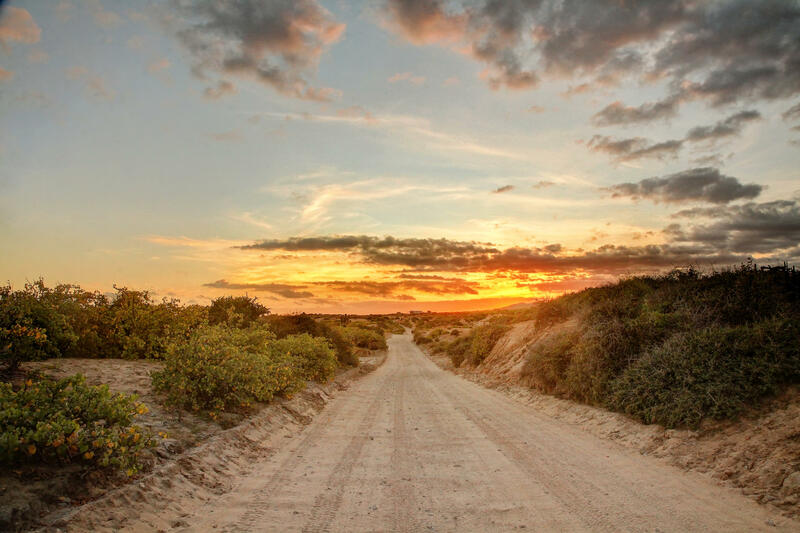 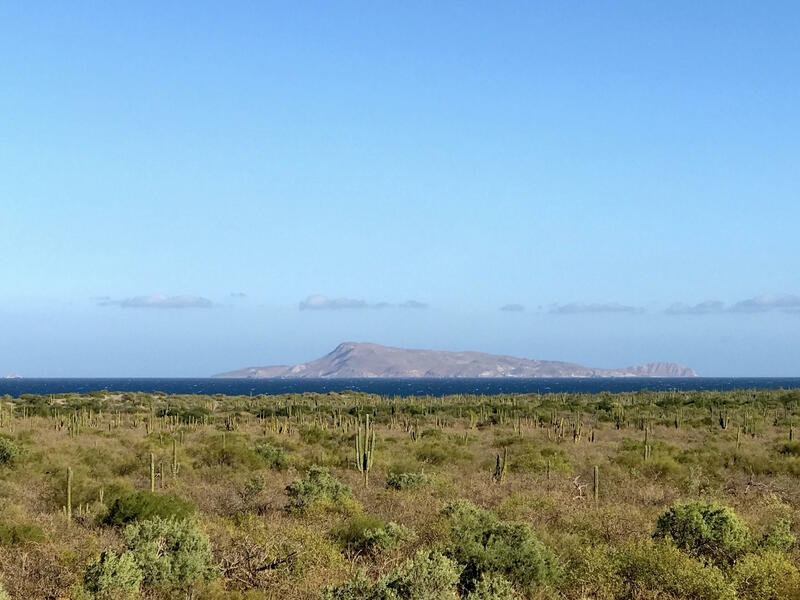 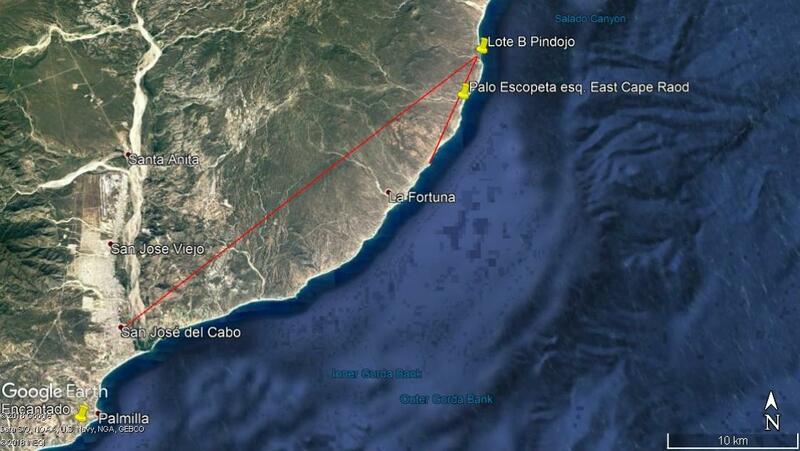 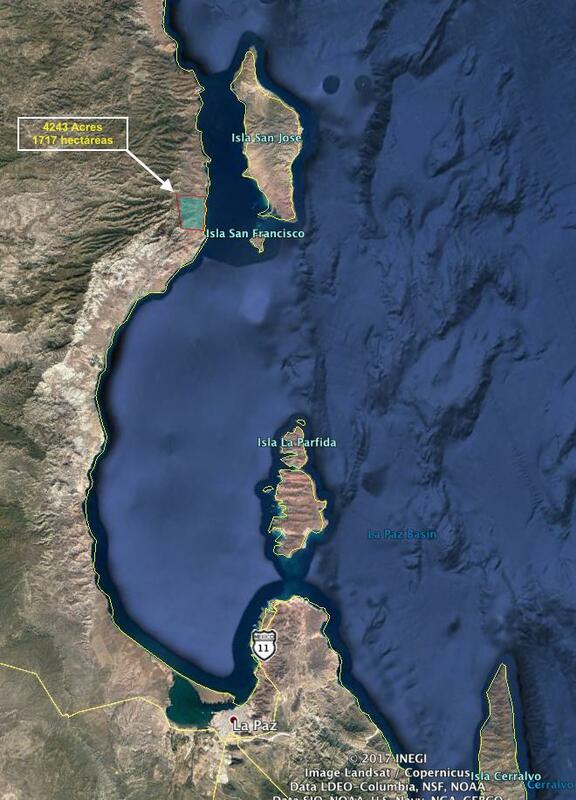 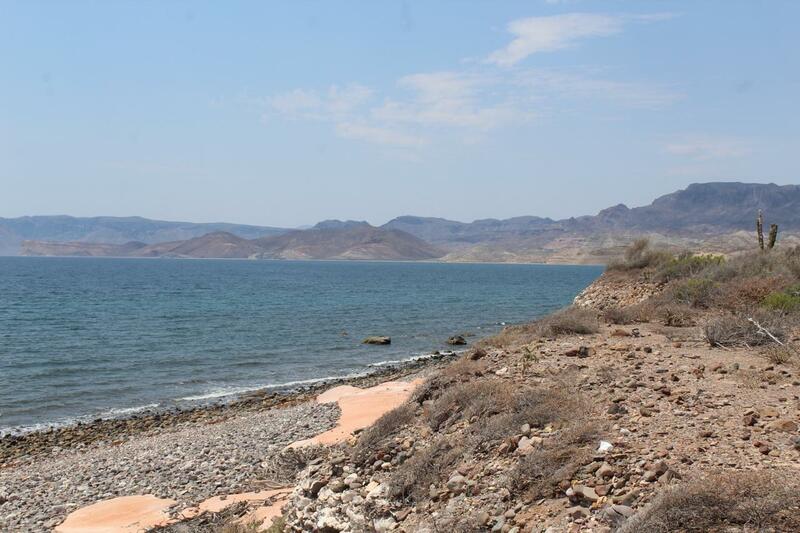 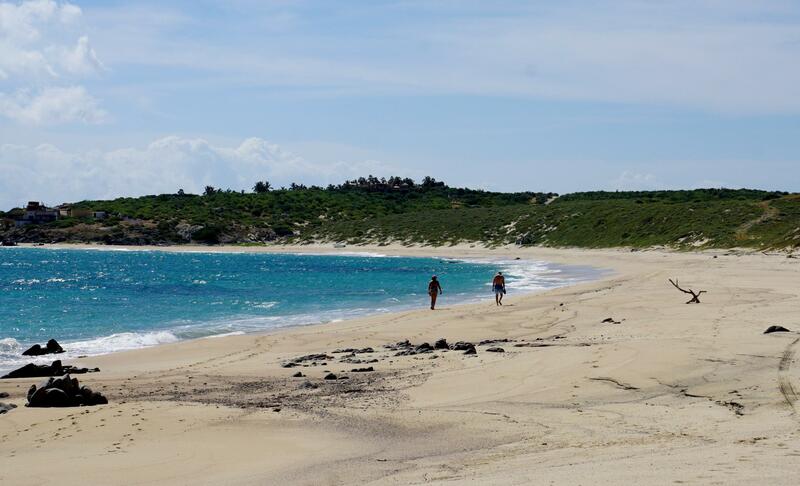 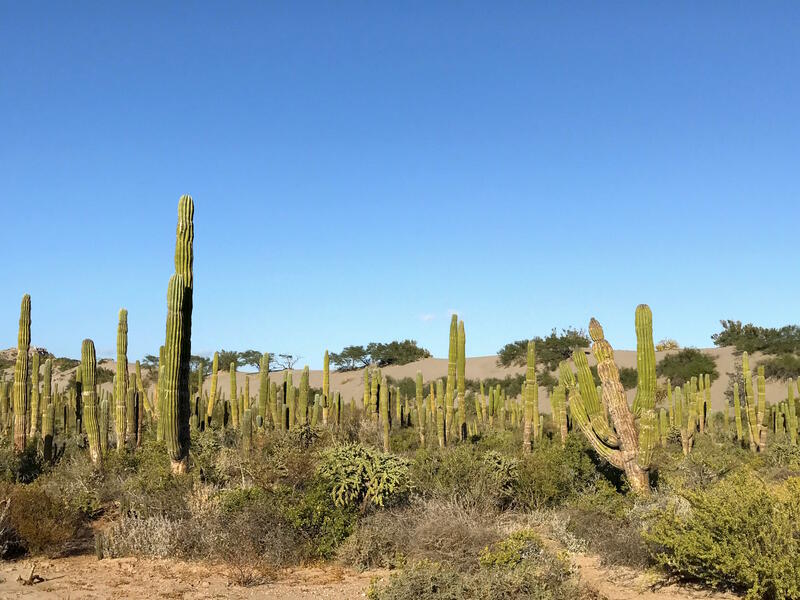 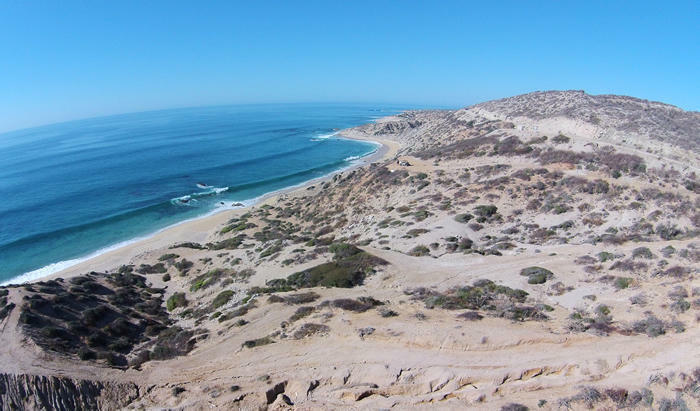 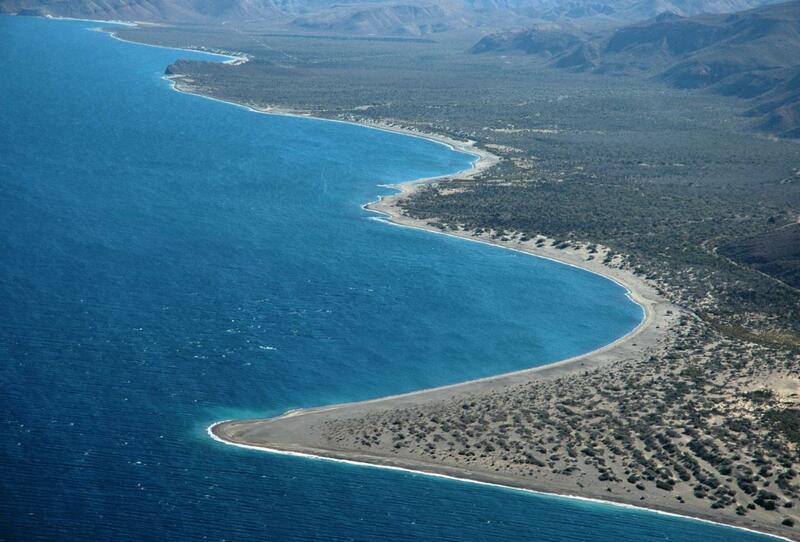 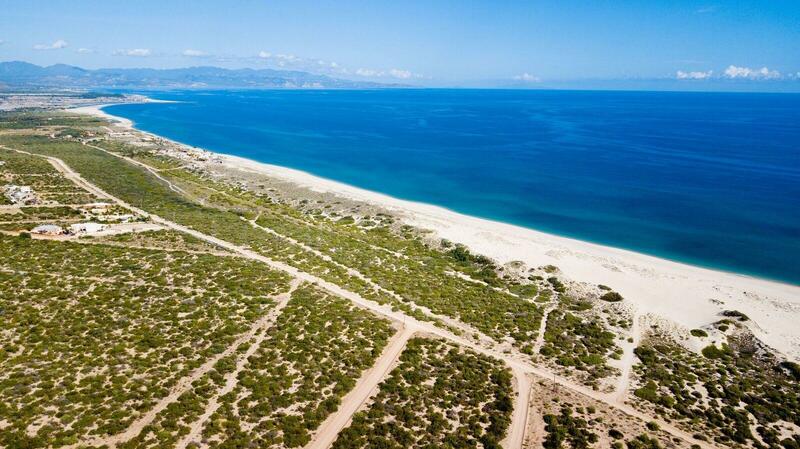 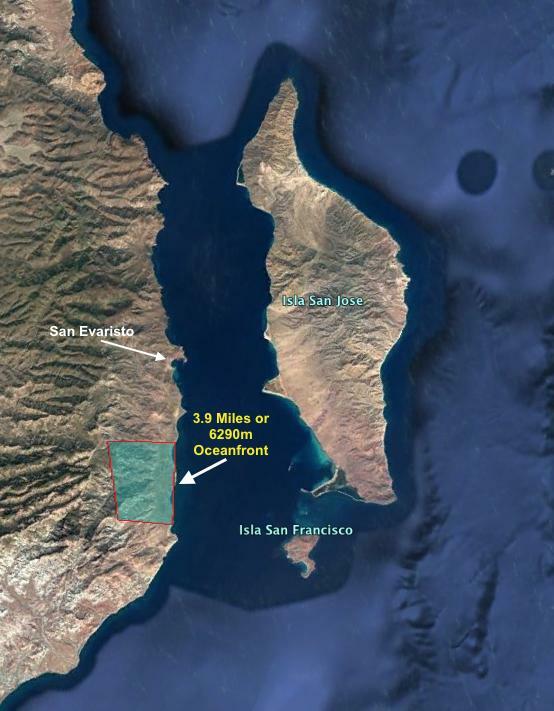 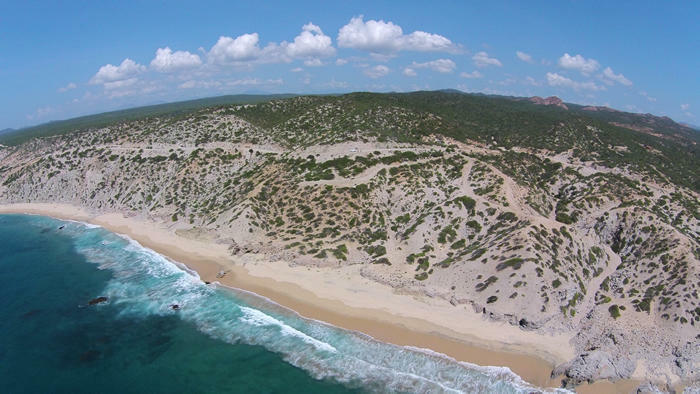 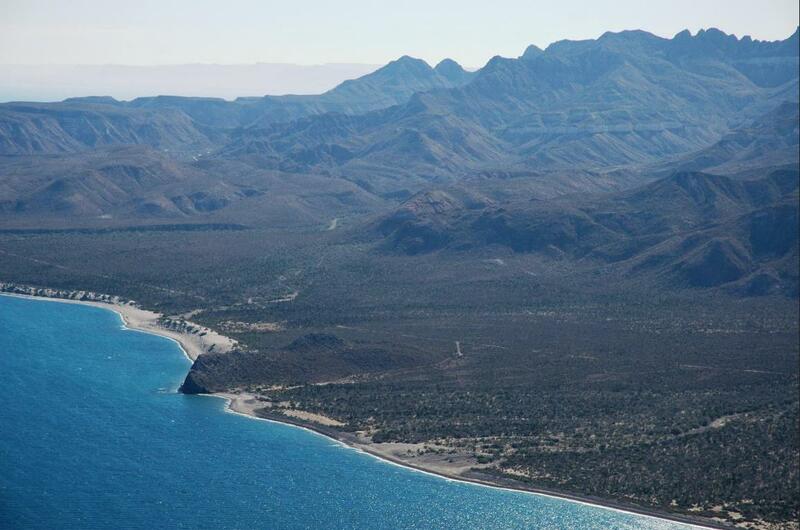 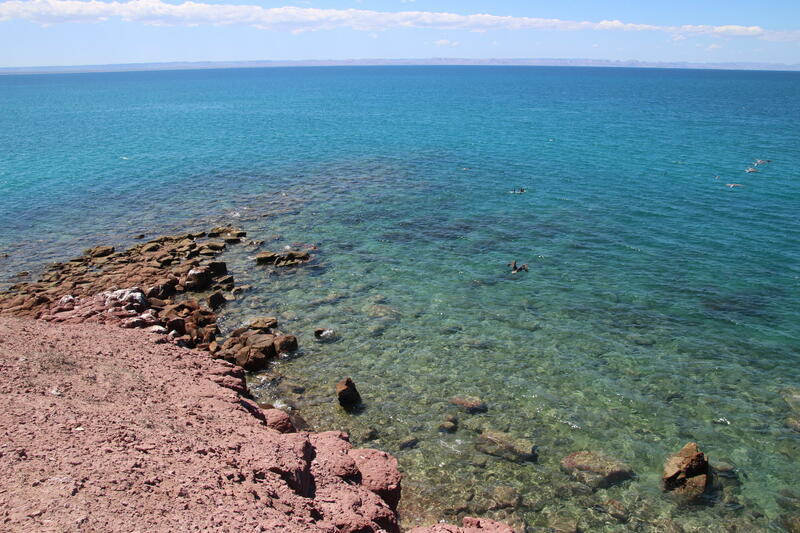 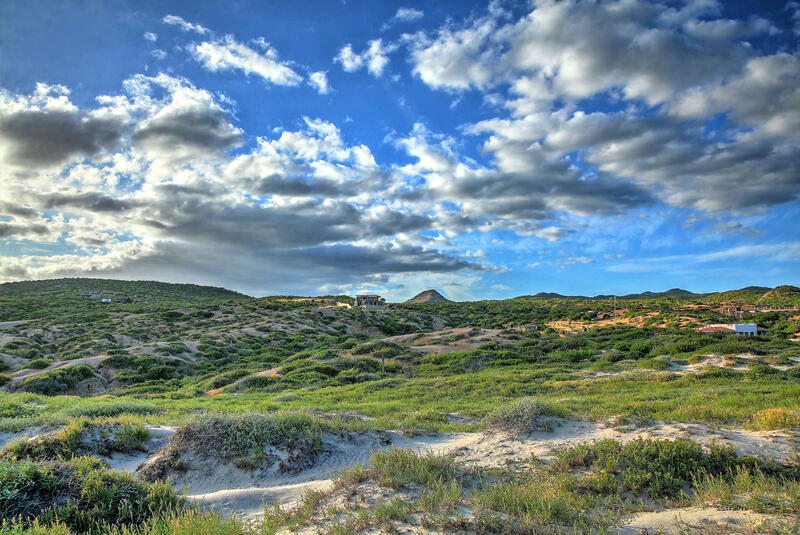 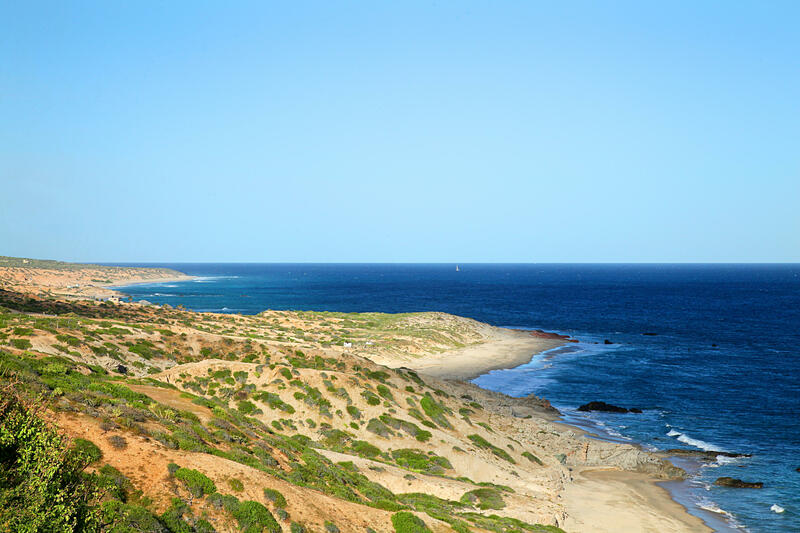 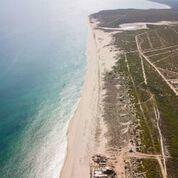 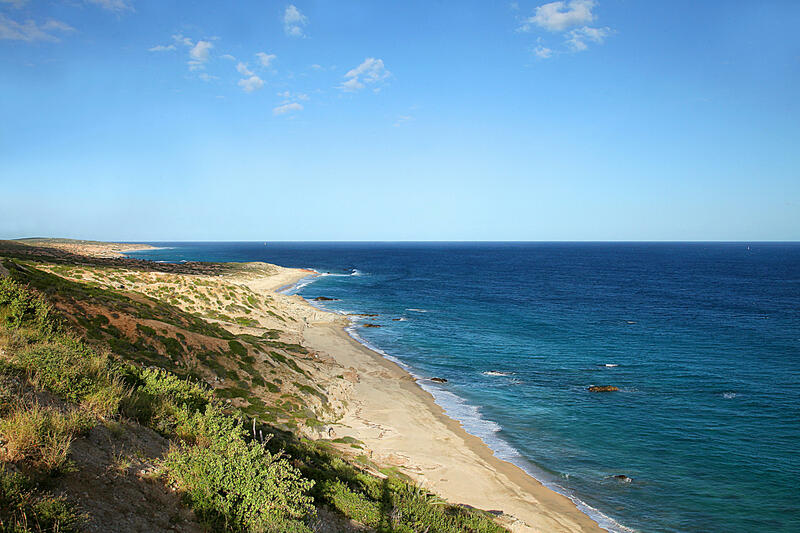 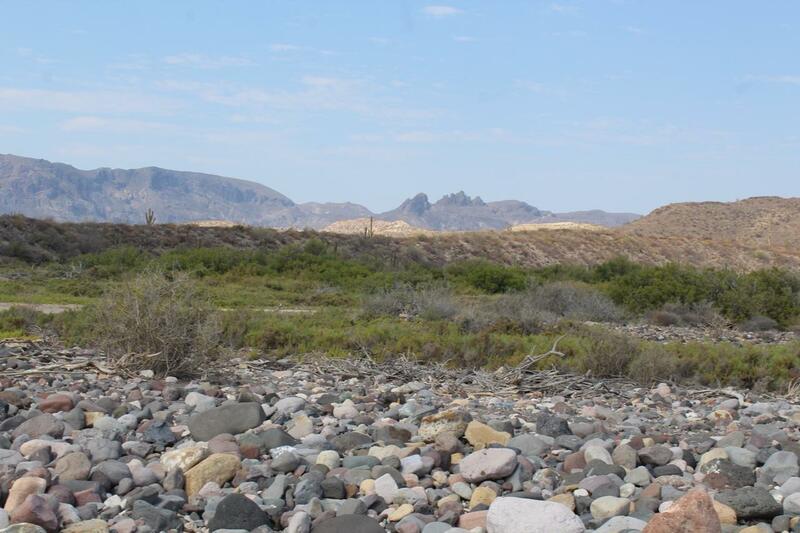 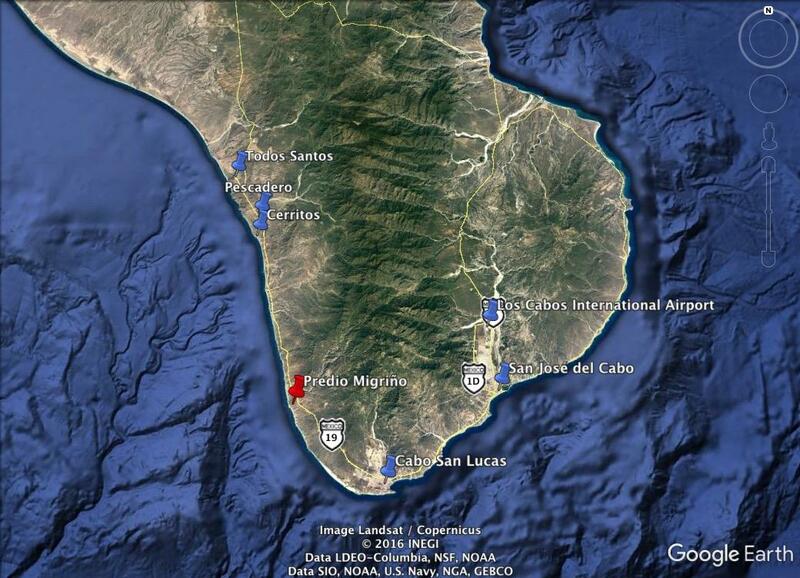 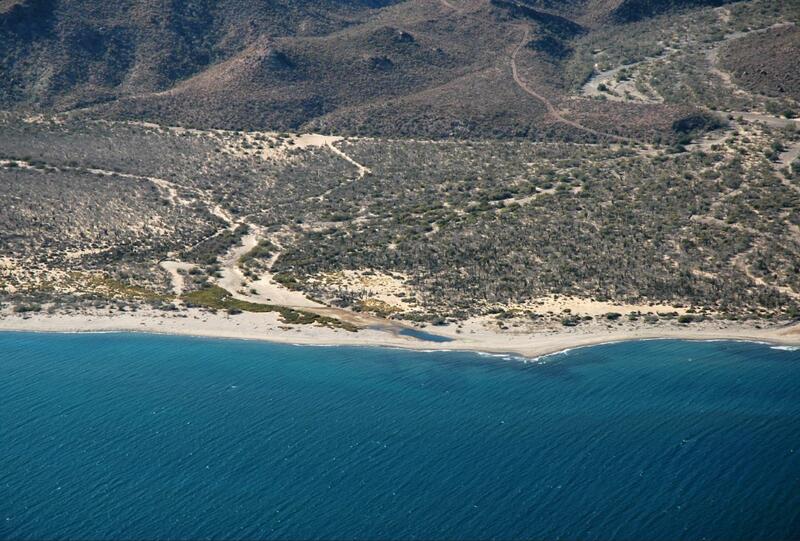 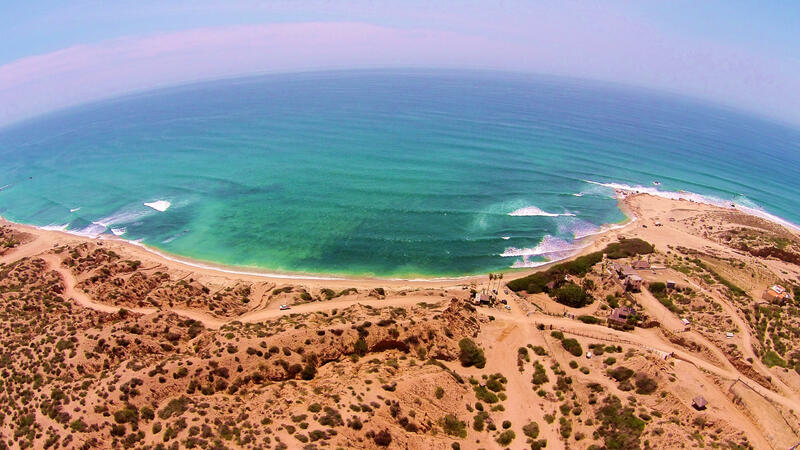 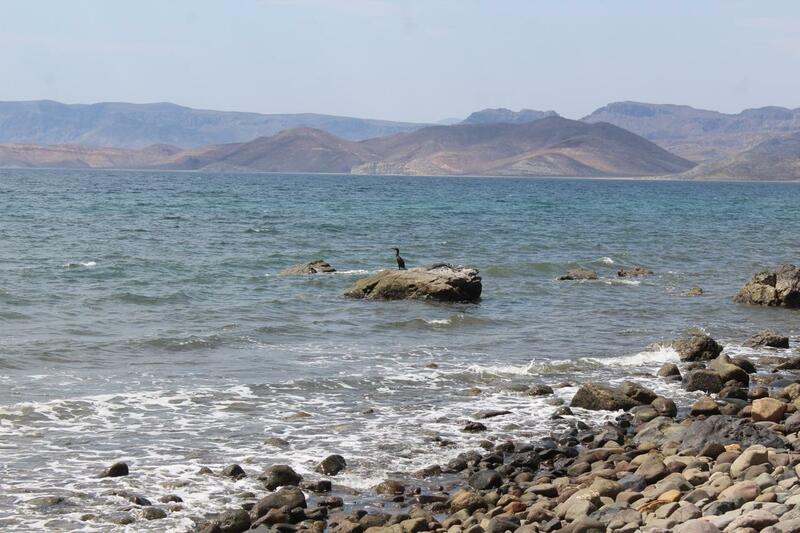 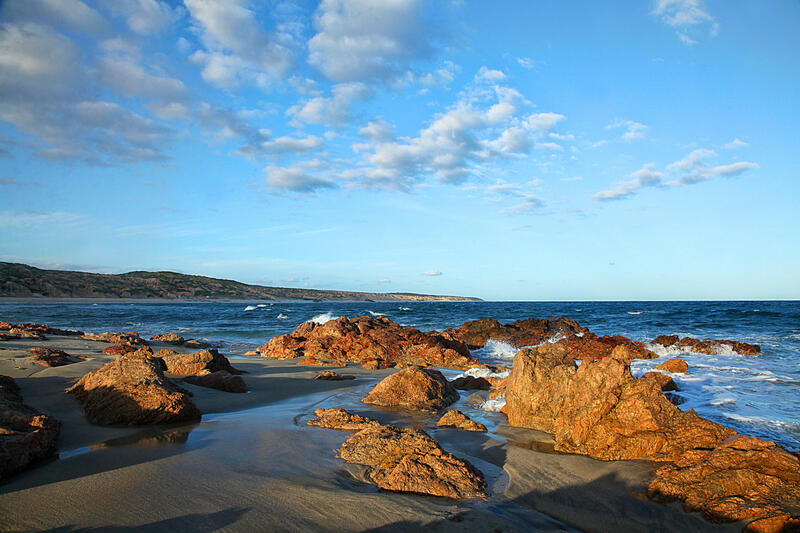 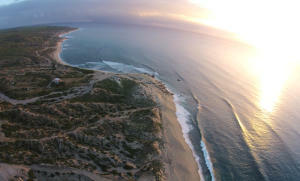 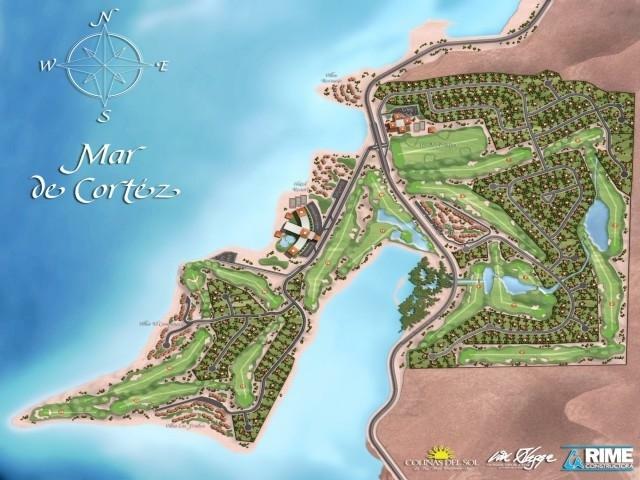 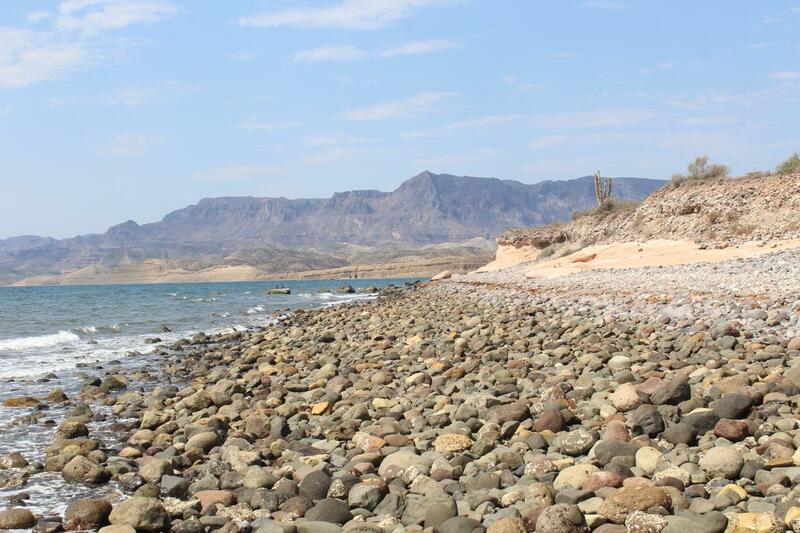 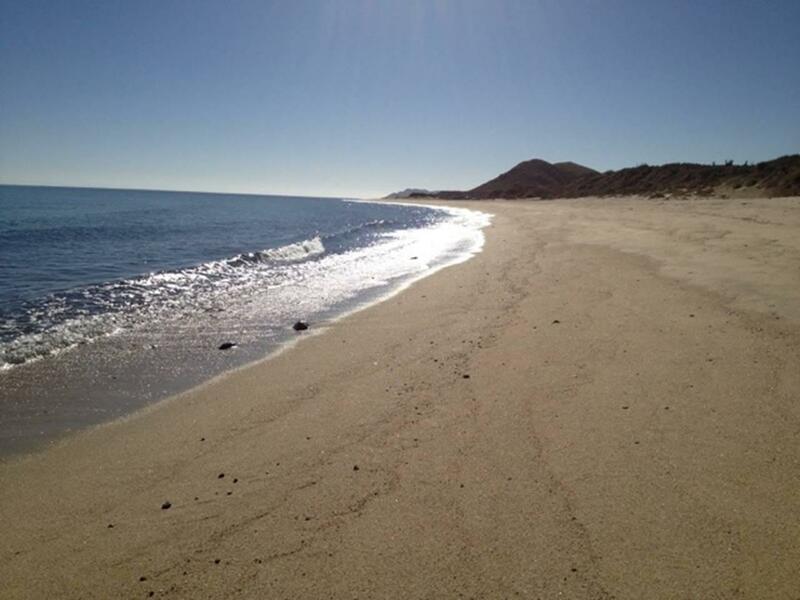 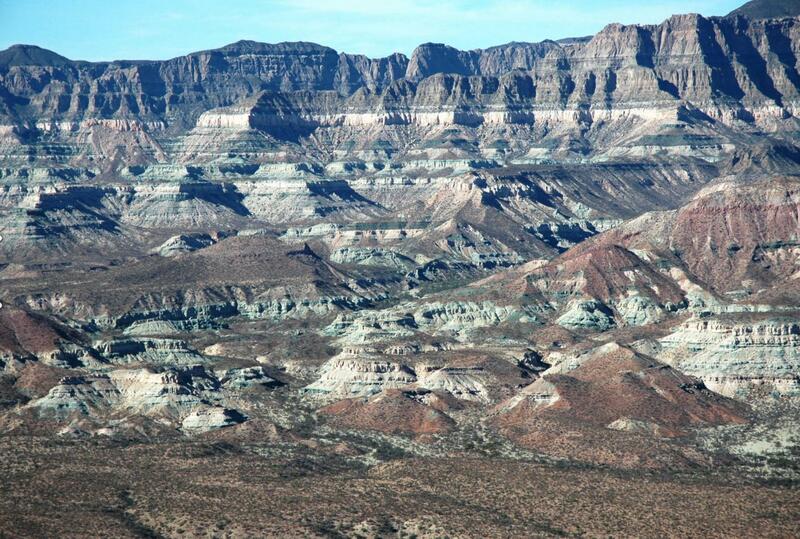 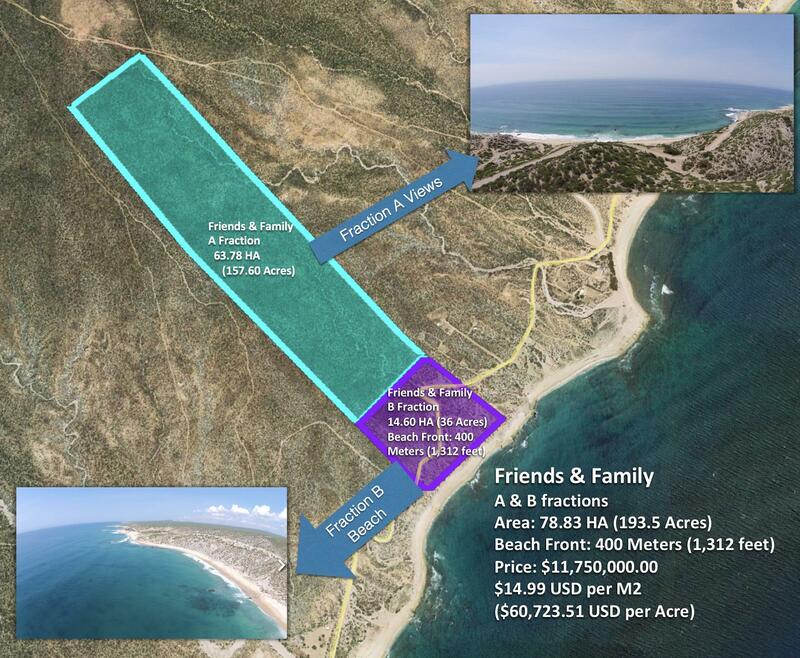 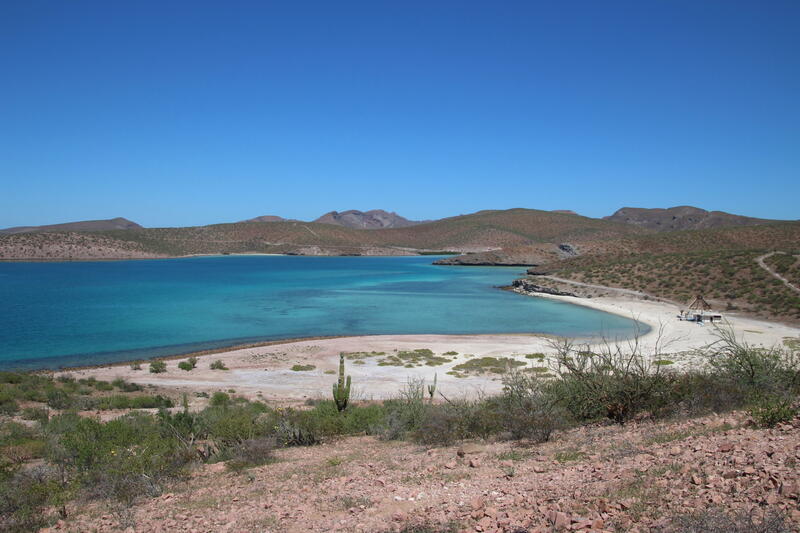 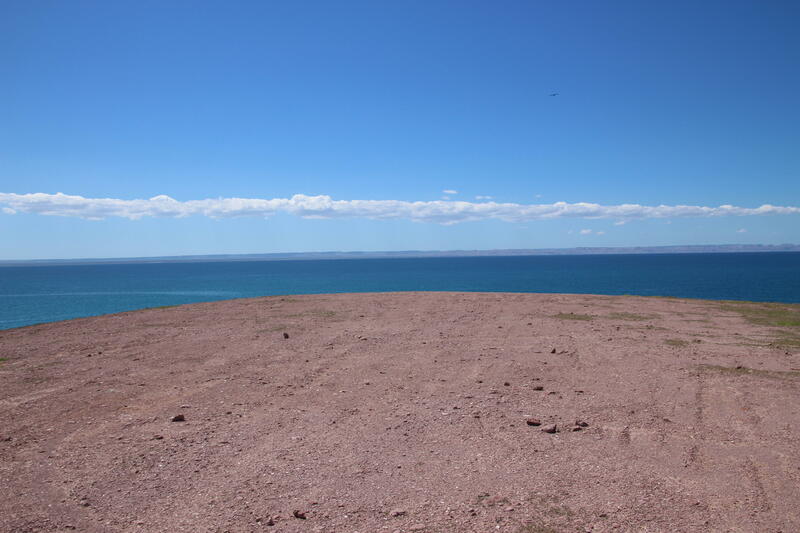 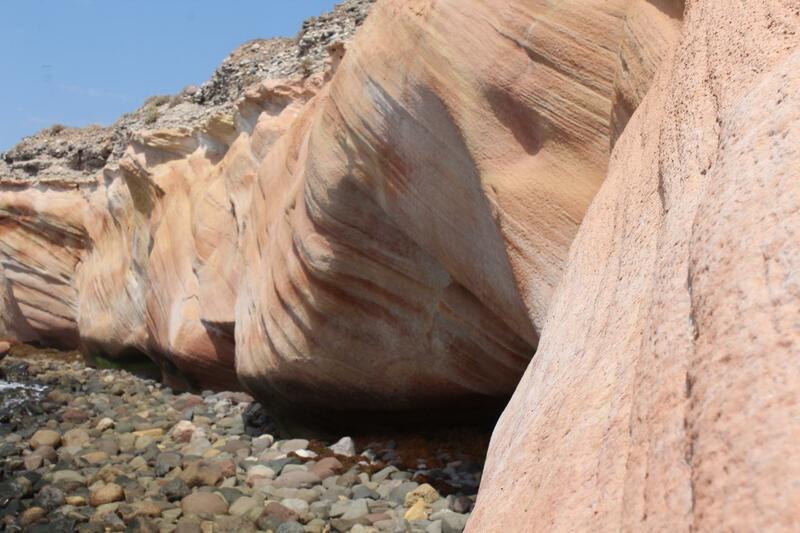 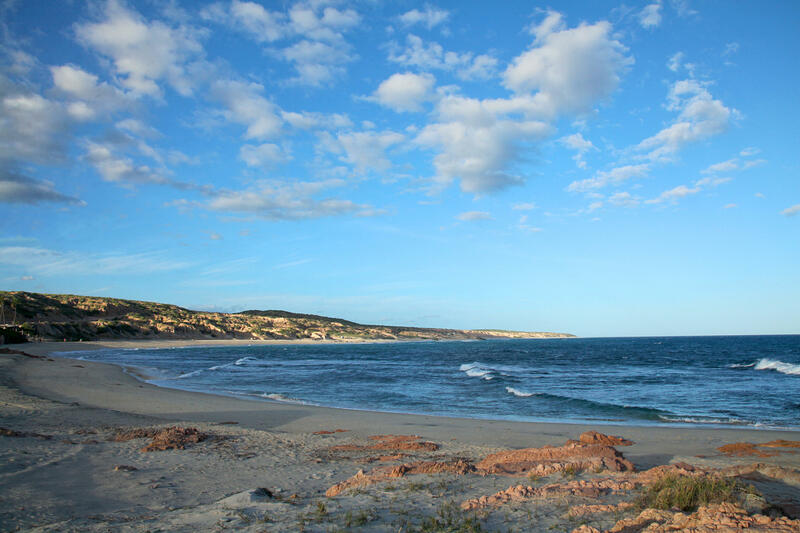 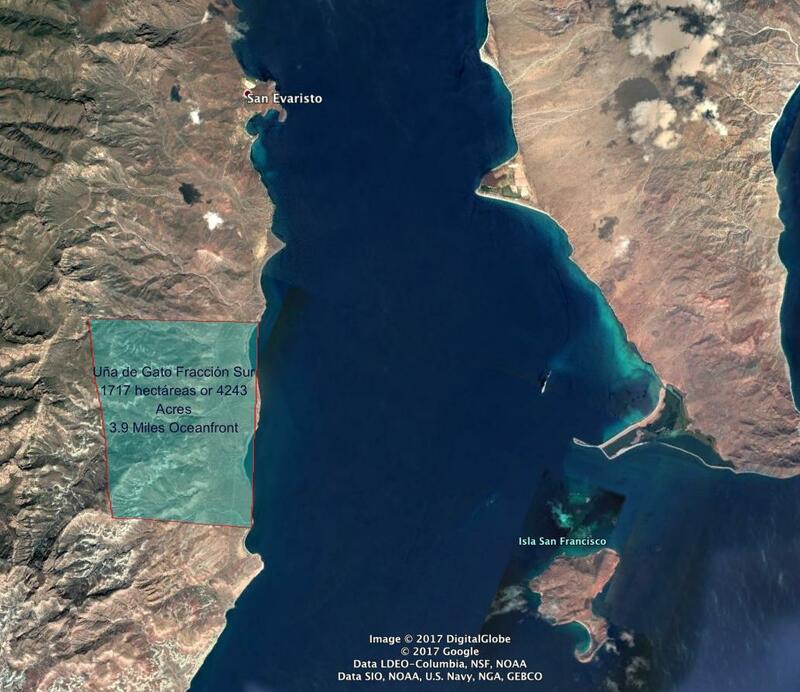 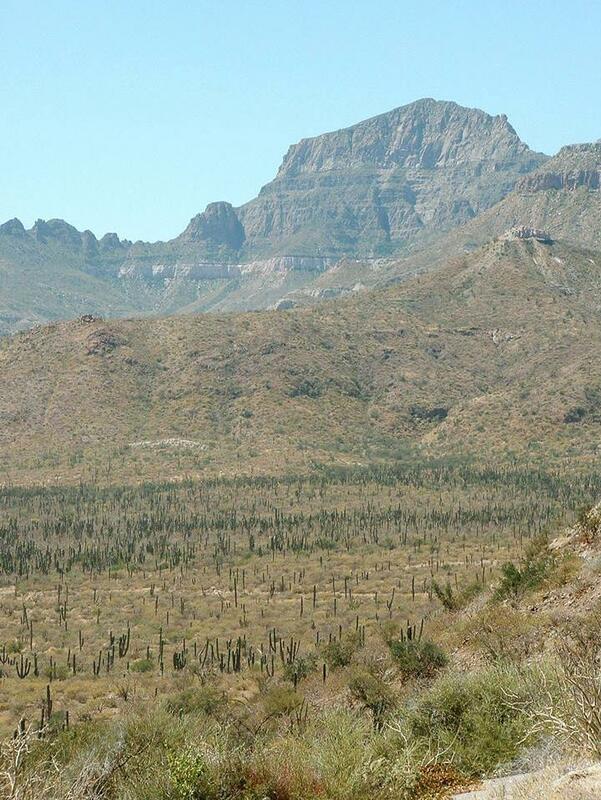 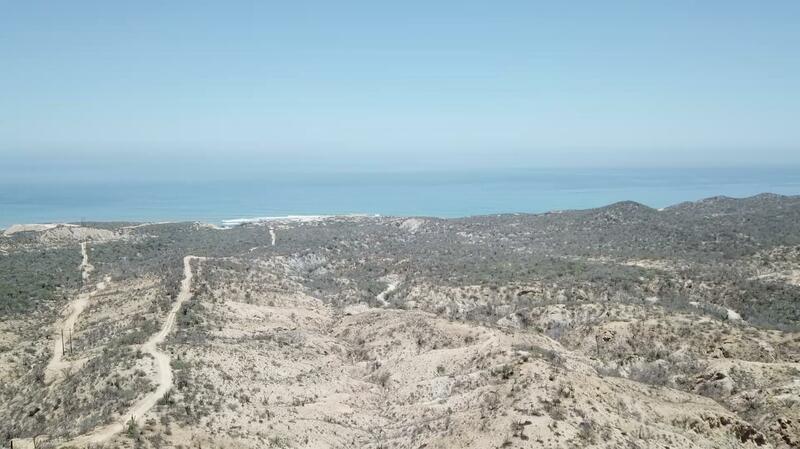 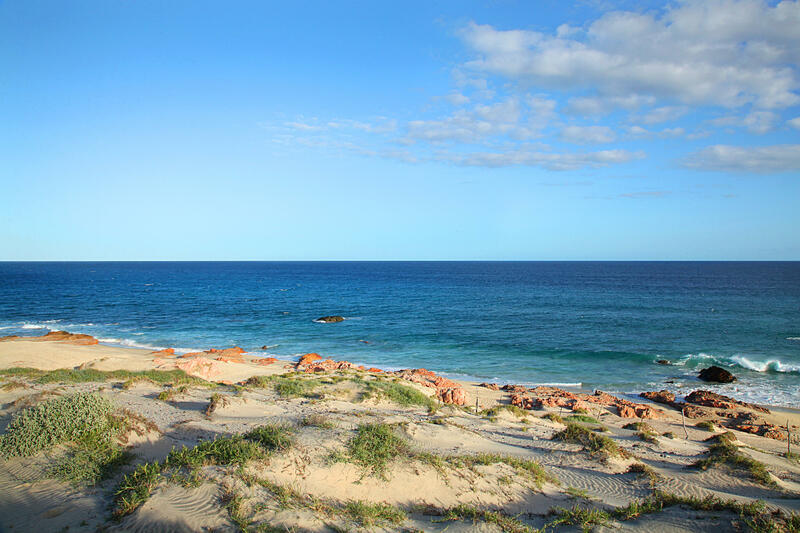 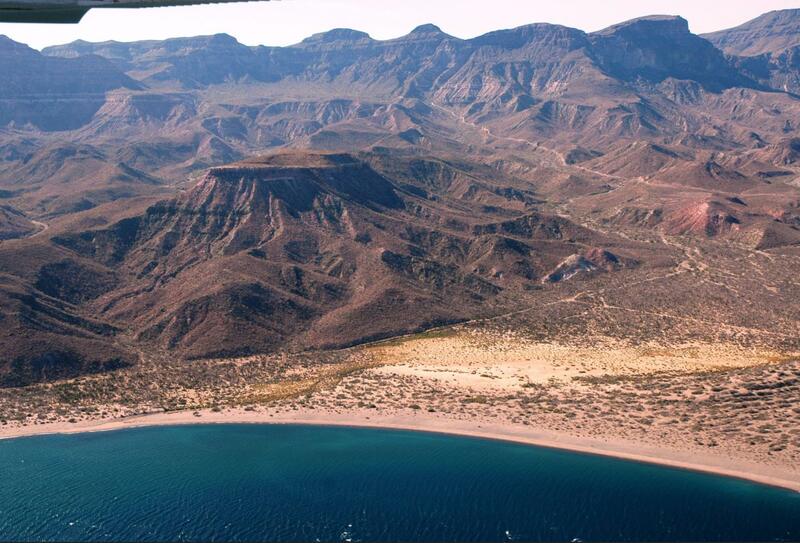 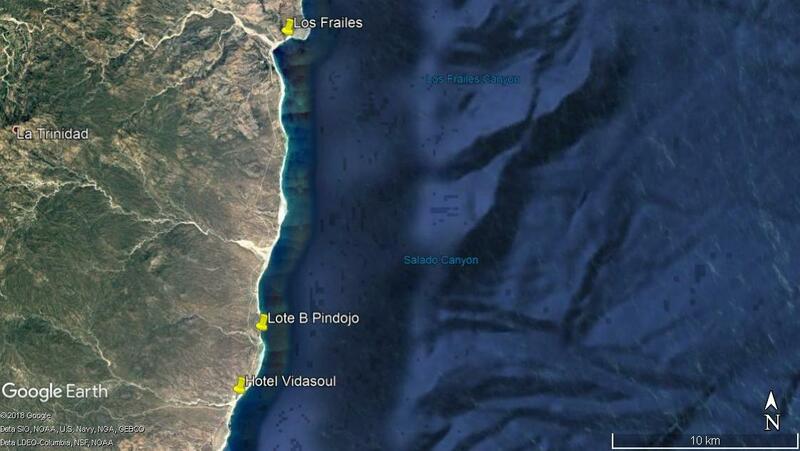 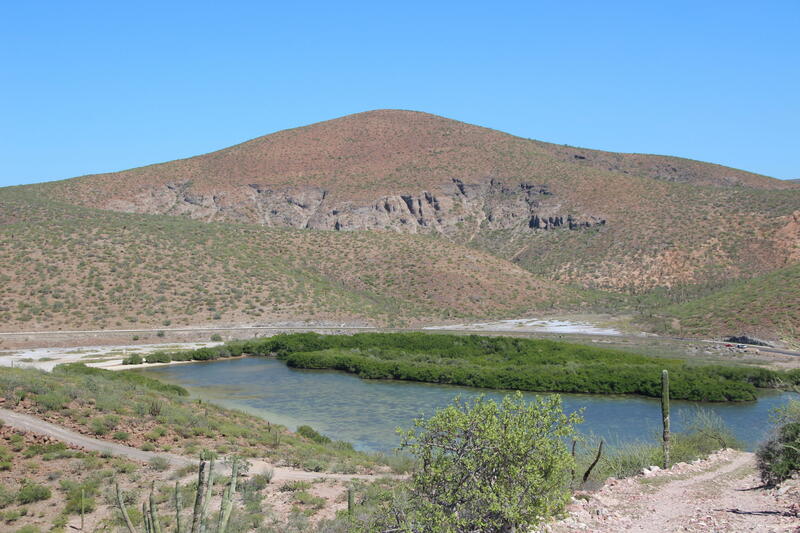 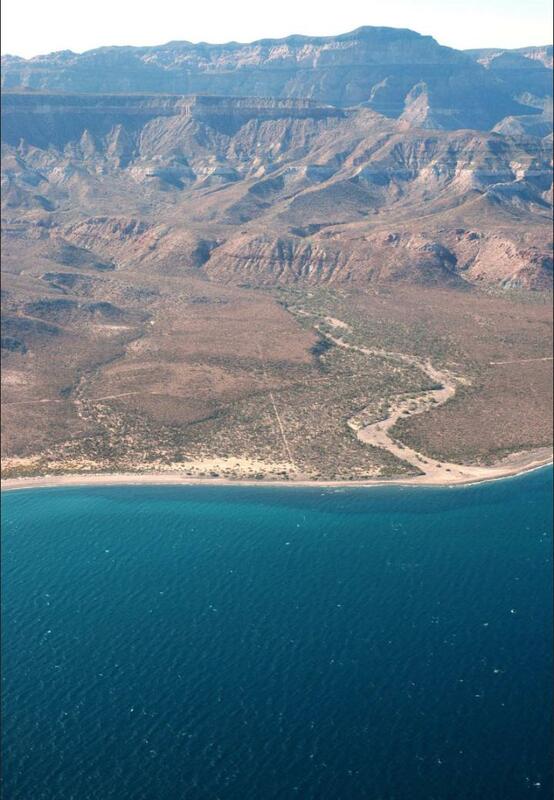 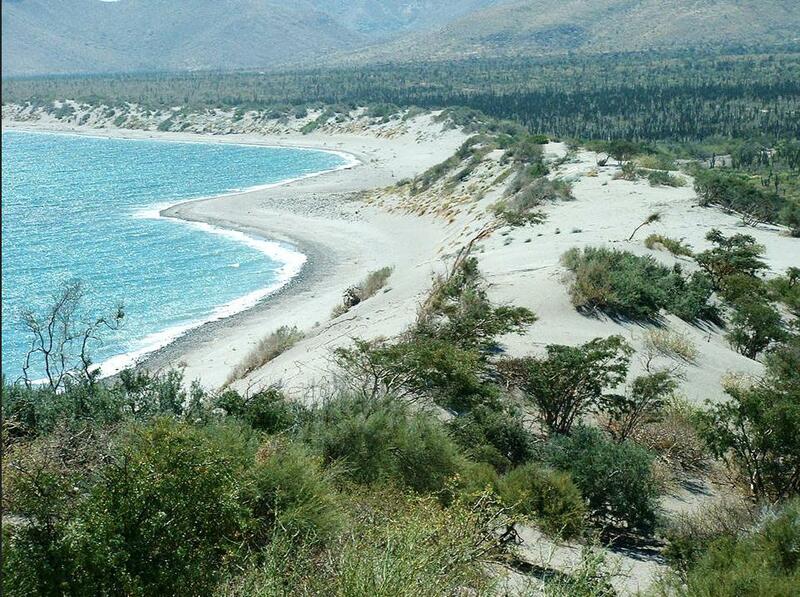 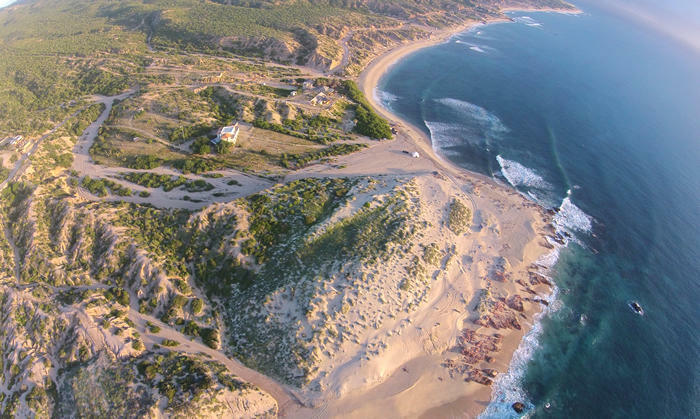 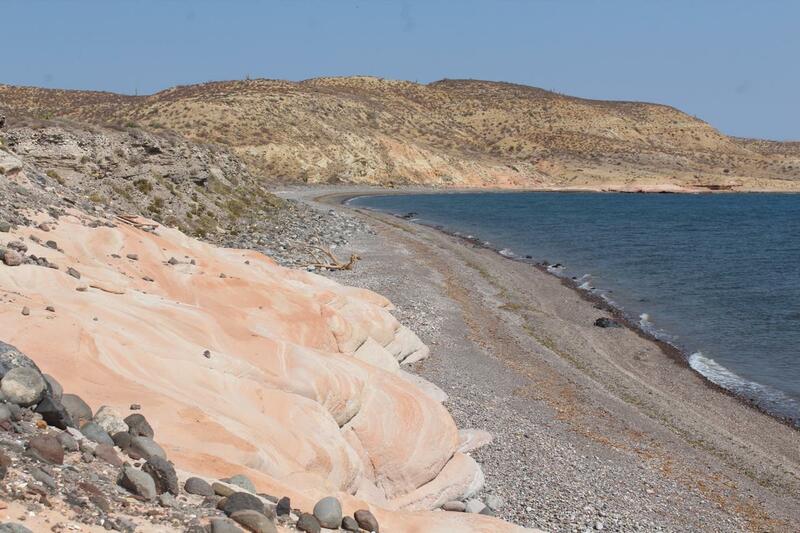 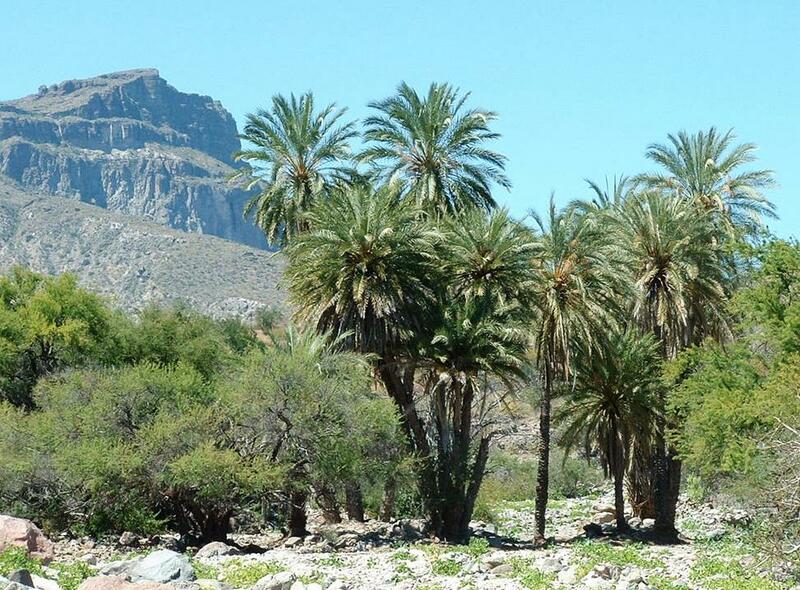 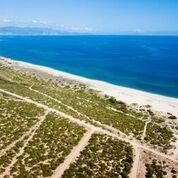 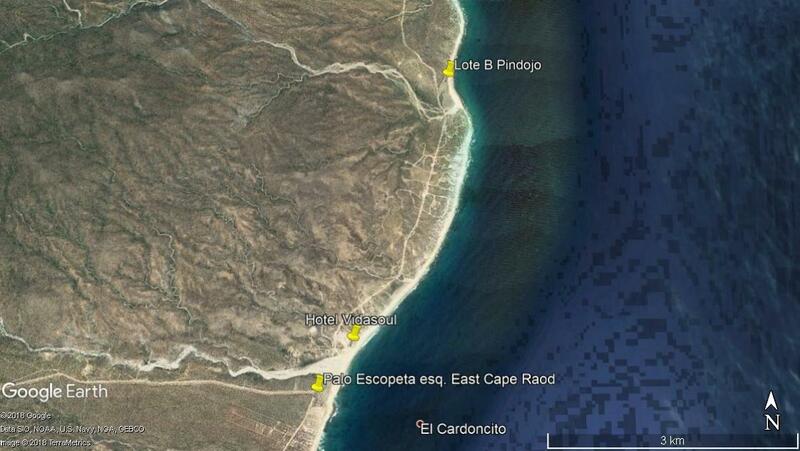 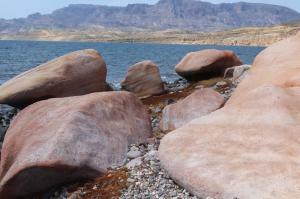 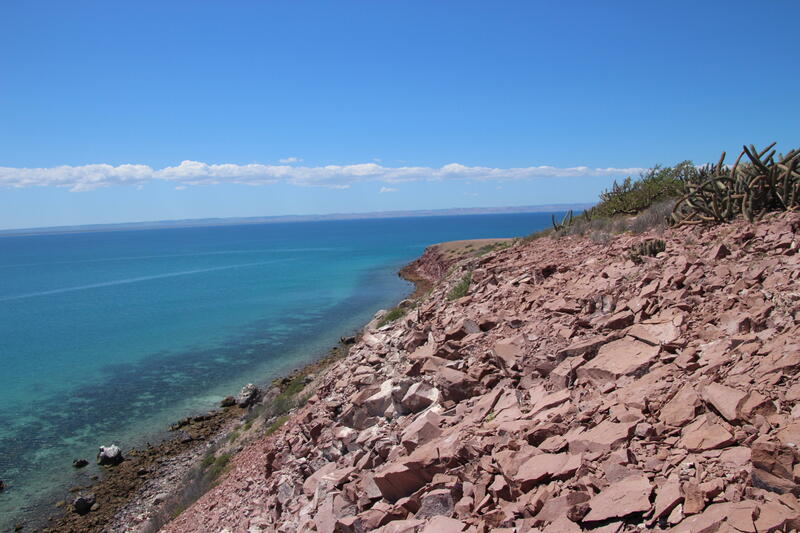 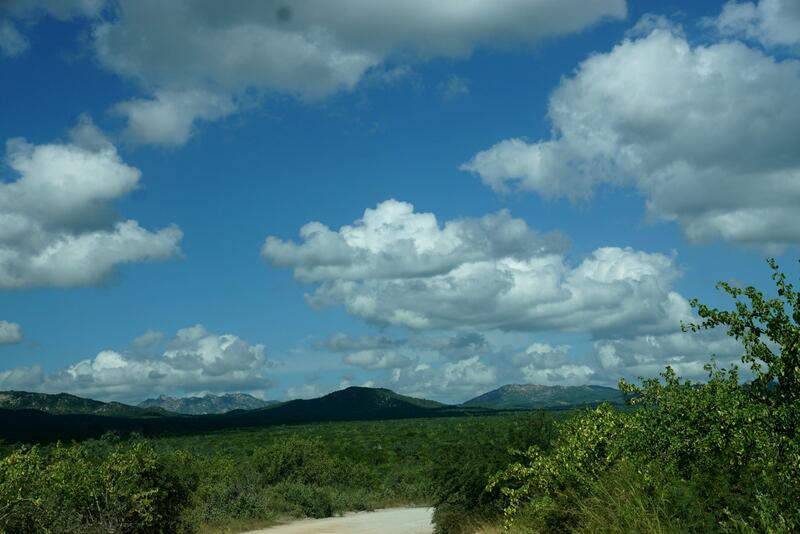 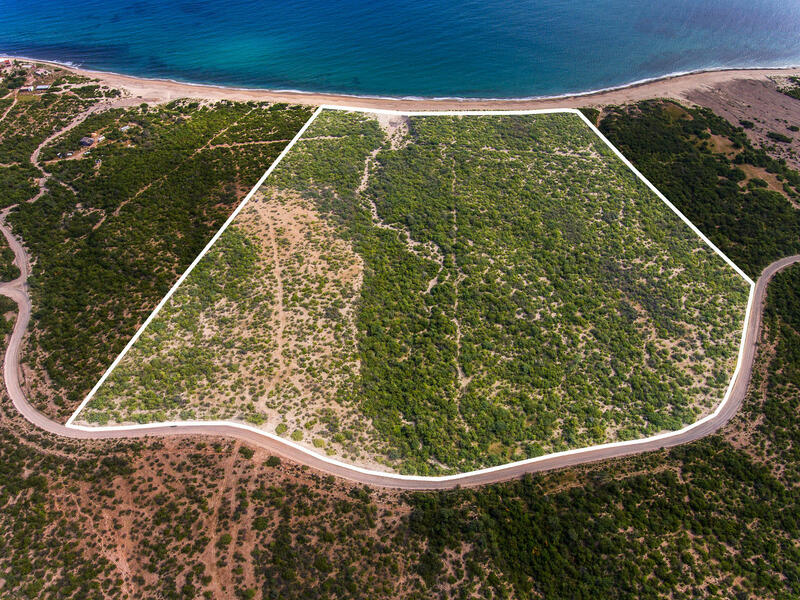 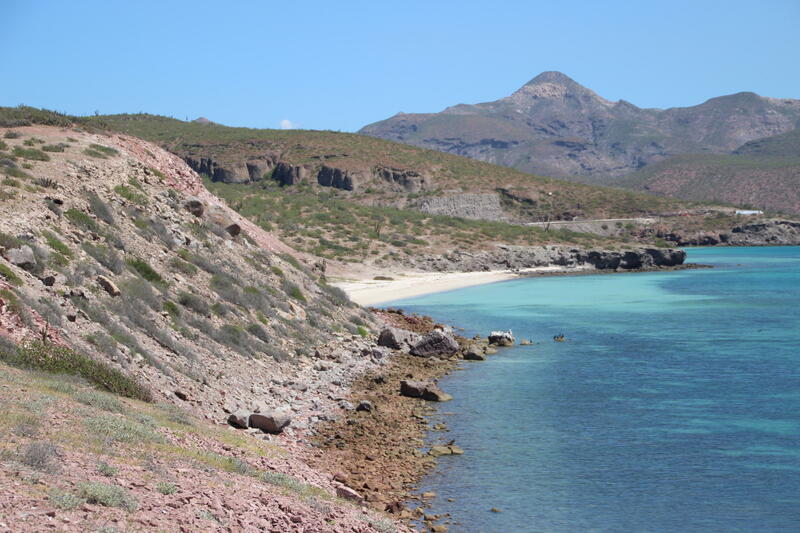 This 640-acre development parcel known as Punta Colorado is the finest titled parcel currently available in the Baja. 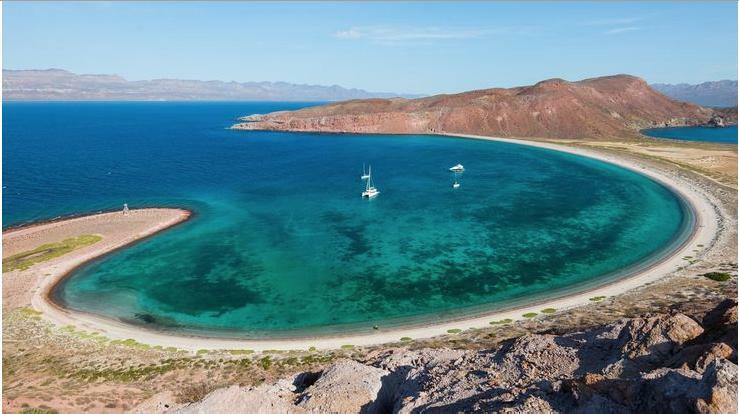 Located just 2 miles from the Baja's Capital City La Paz, the local landmark features a 175-acre peninsula surrounded by dozens of pristine white beaches and rocky elevations with shallow pristine blue water swimming with a remarkable unspoiled marine environment surrounding both sides of the peninsula. Description: A hidden gem on a secluded beach in Punta Bella. 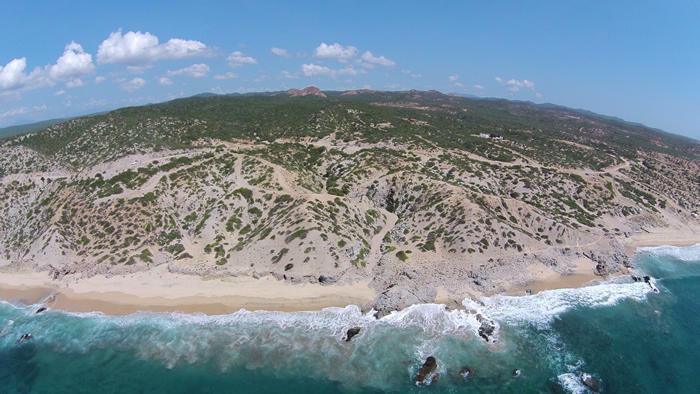 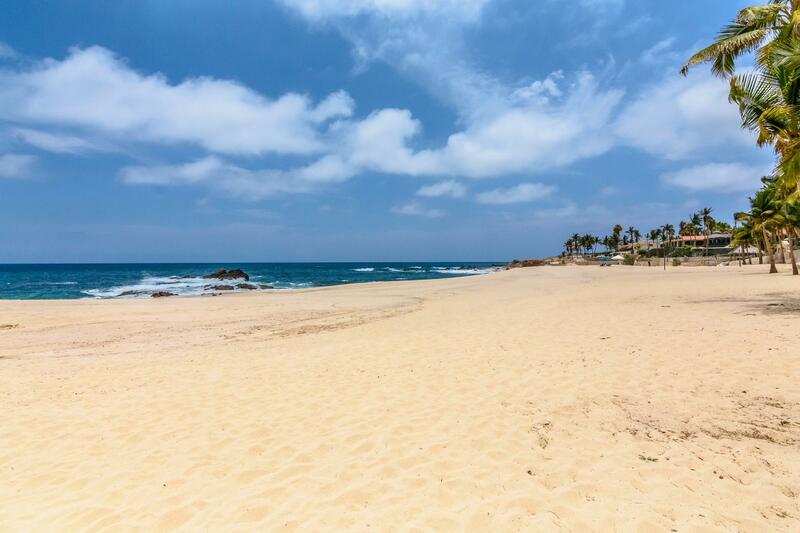 Amongst the crowded neighborhoods stretched along Los Cabos' golden corridor, there are few communities that remain private, quiet, and have access to a secluded swimming beach. 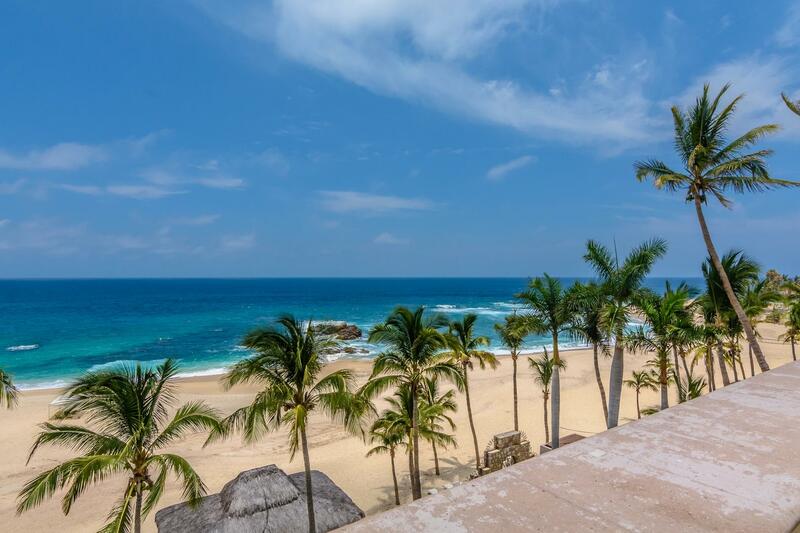 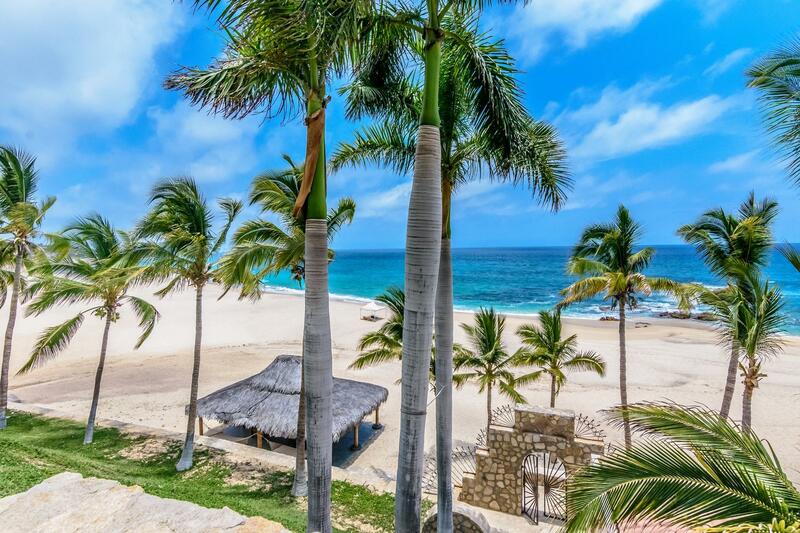 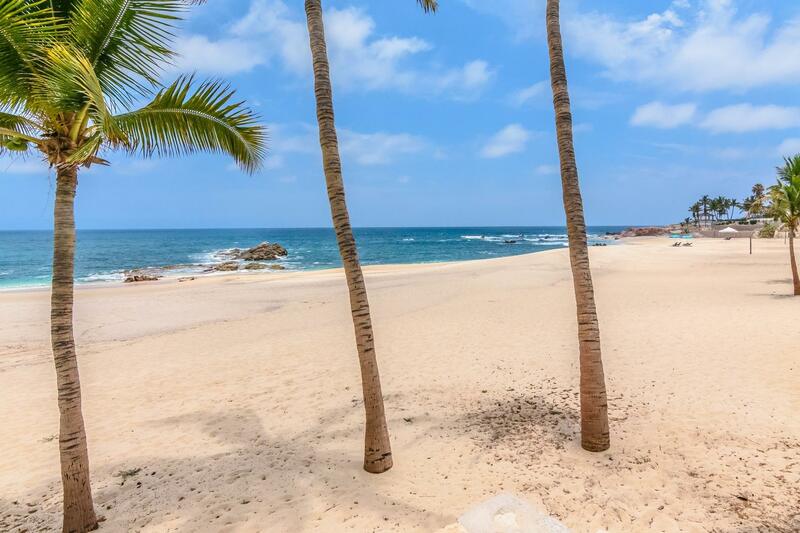 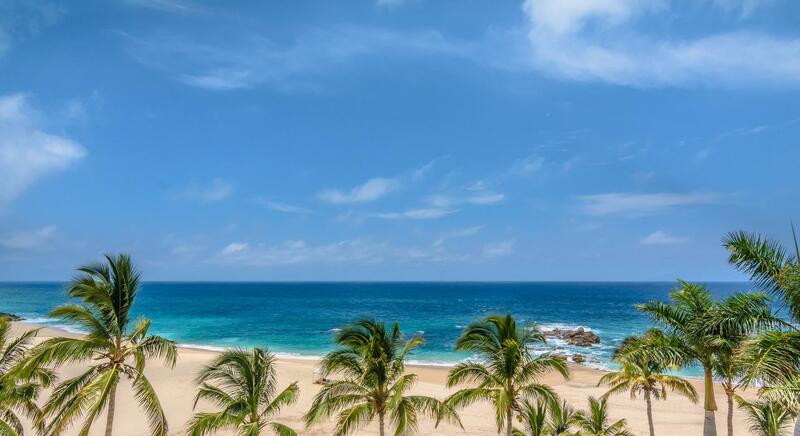 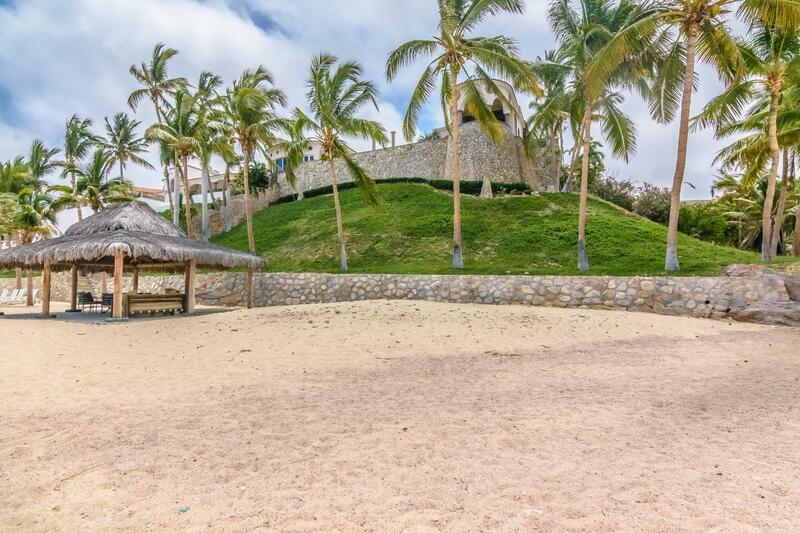 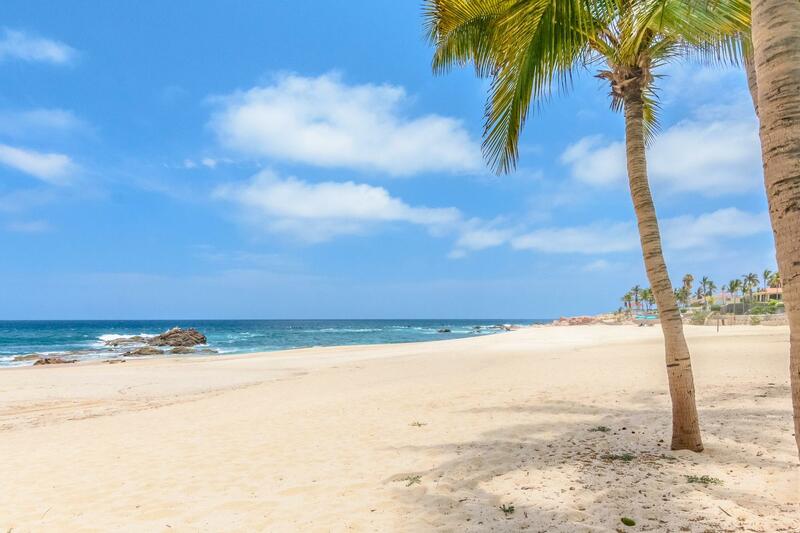 Spanning over an acre, this two lot combination estate property offers privacy and direct access to one of Cabo's best kept secret beaches. 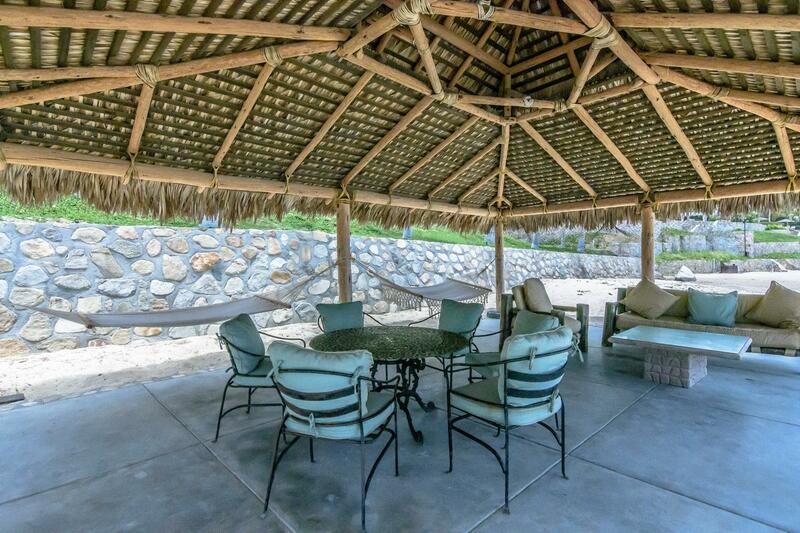 You will not find a similar property anywhere along Los Cabos' coastline. 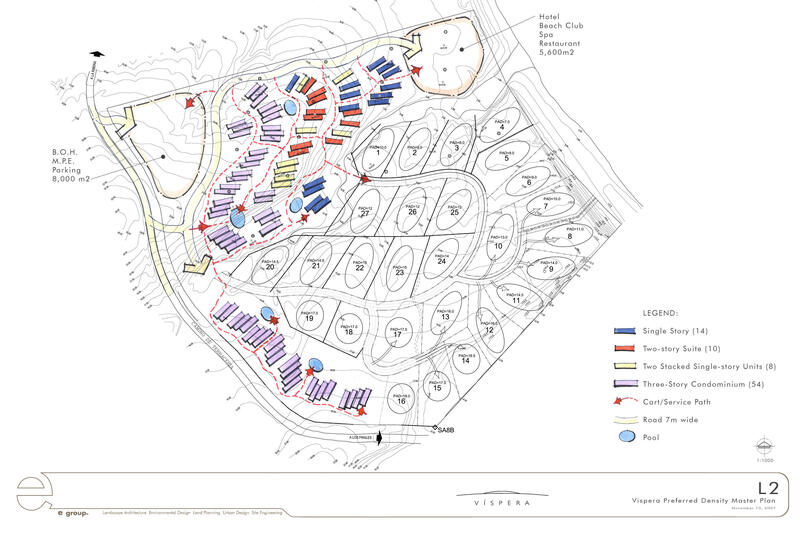 Description: Vispera sits right at the bullseye of a future development. 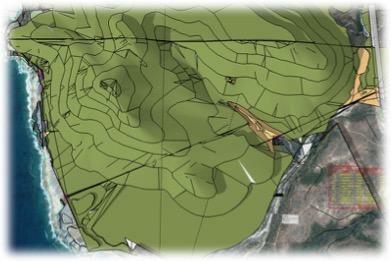 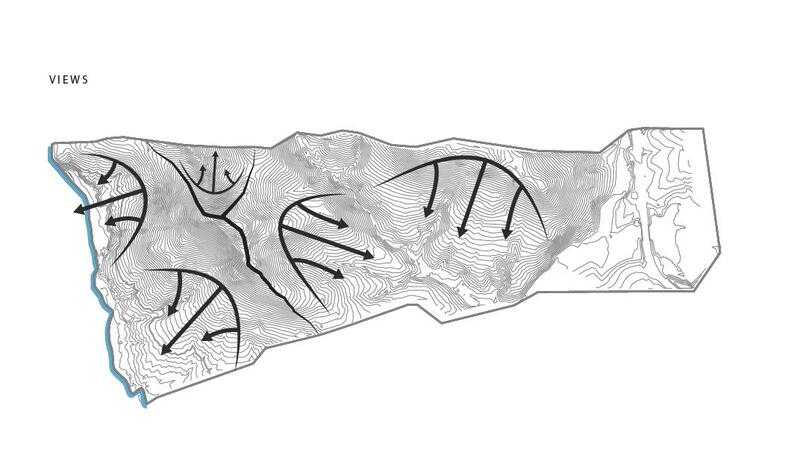 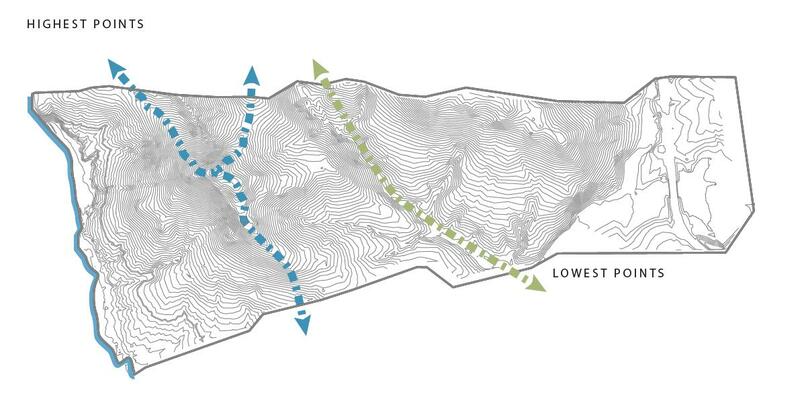 The unique location and topography make this parcel ideal for any type of use - residential, hotel, commercial or a mix. 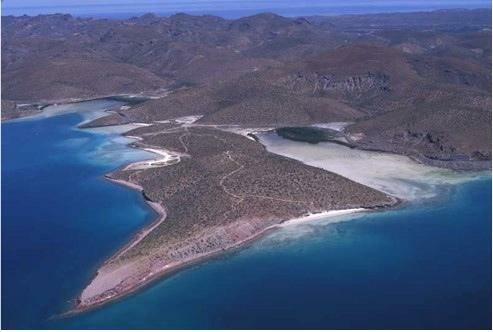 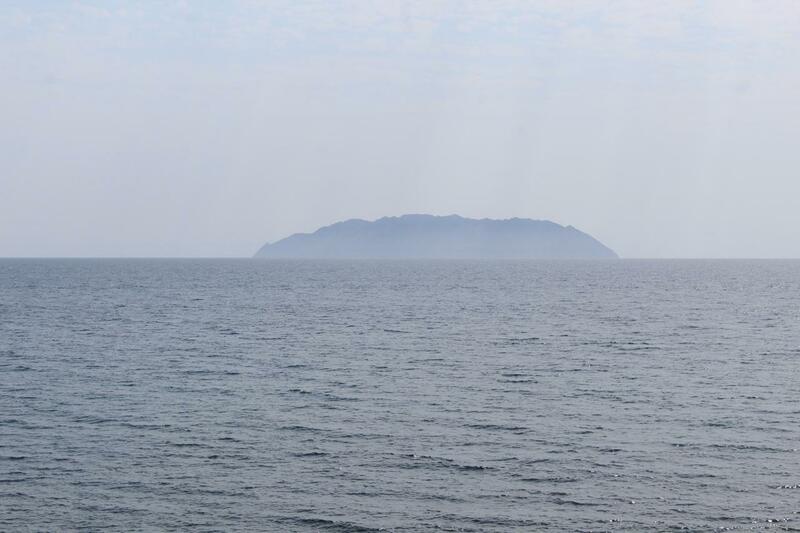 Vispera borders the Cabo Pulmo Federal Marine Park and lies within the boundry of the future Cabo Dorado master planned community. 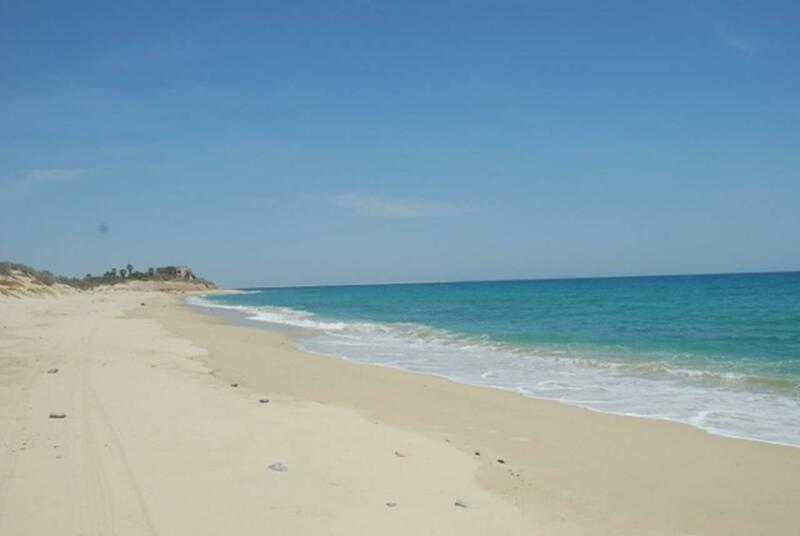 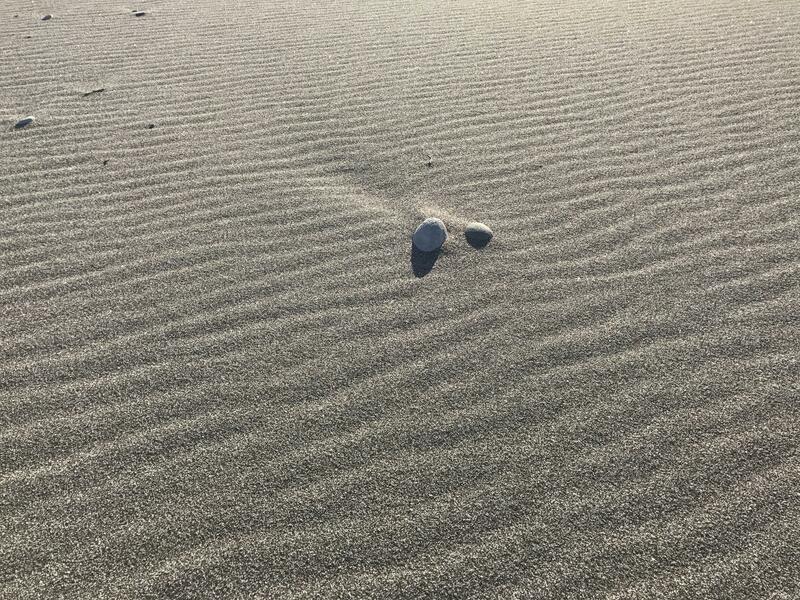 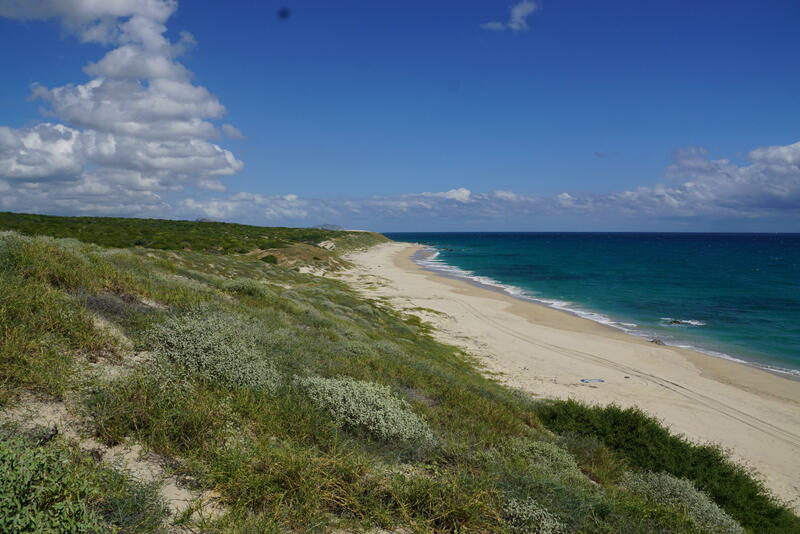 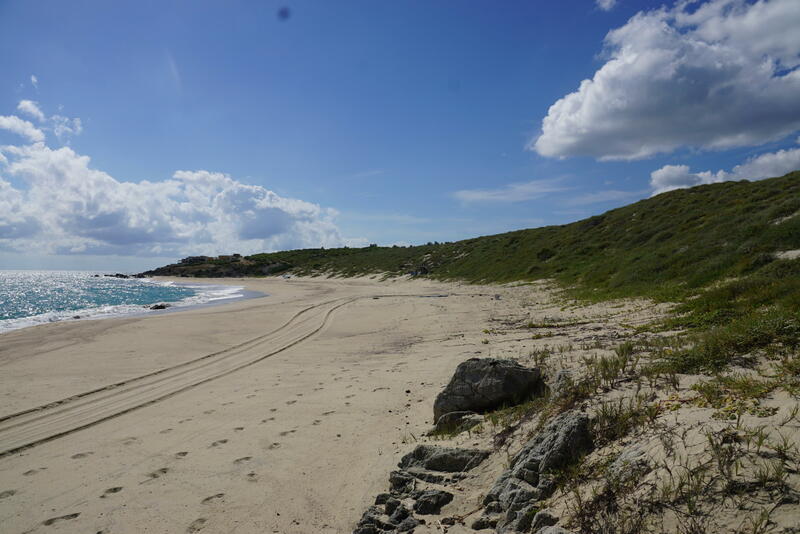 This property consists of nearly 300 linear meters (985 feet) of beach frontage and has an approximate surface area of 17.2 hectares (42 acres). 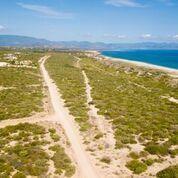 The topography slopes gently up from the beach making this parcel ideal for any kind of development. 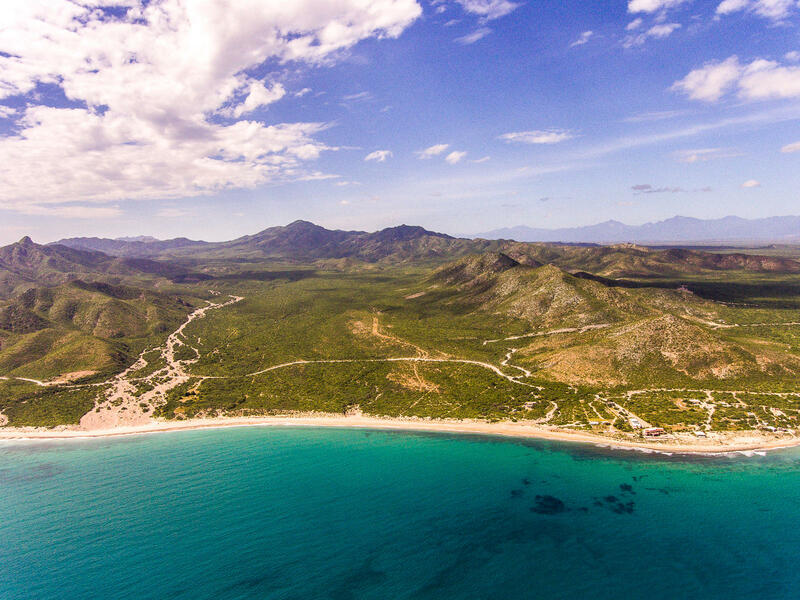 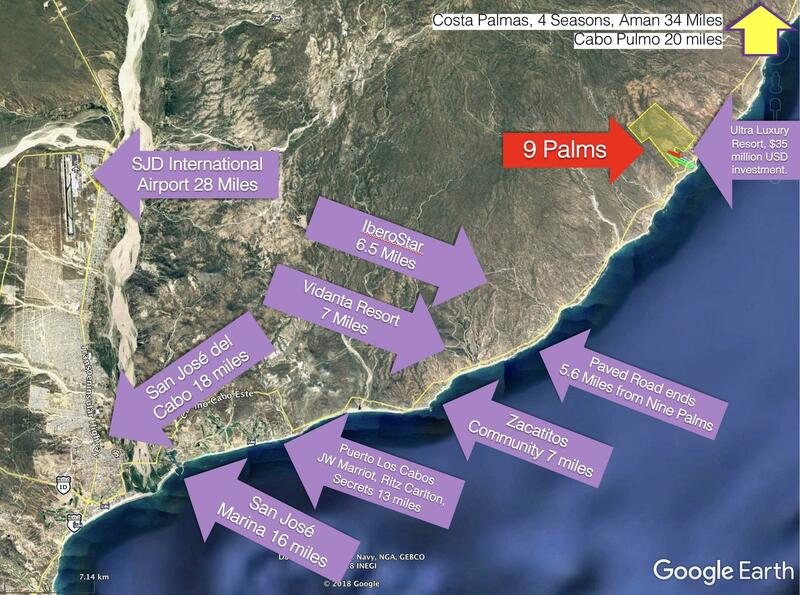 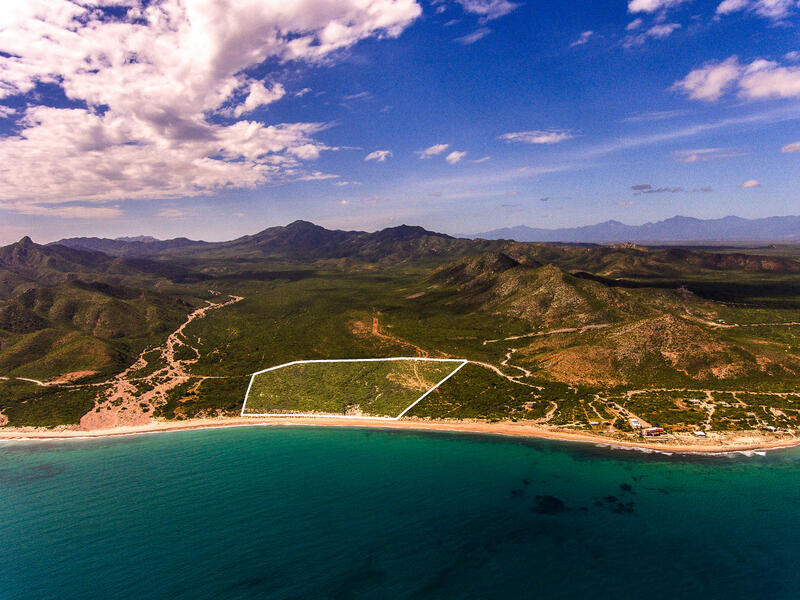 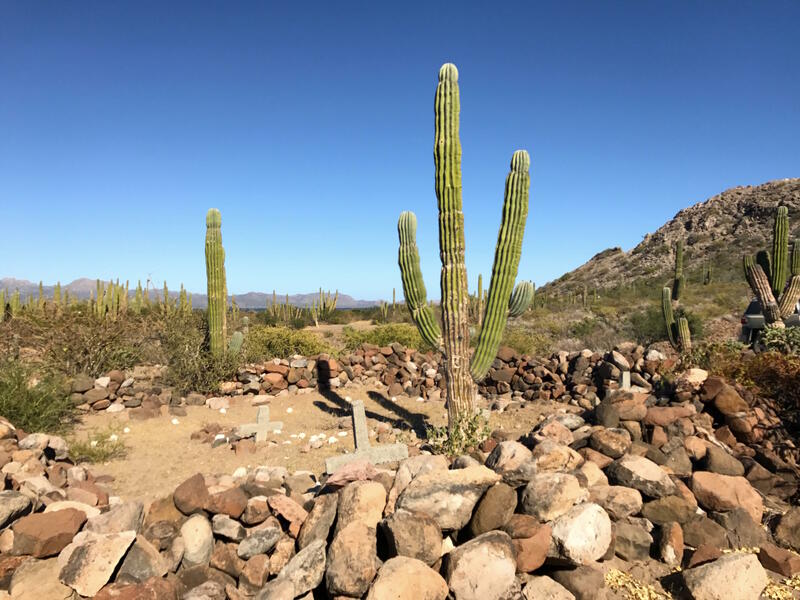 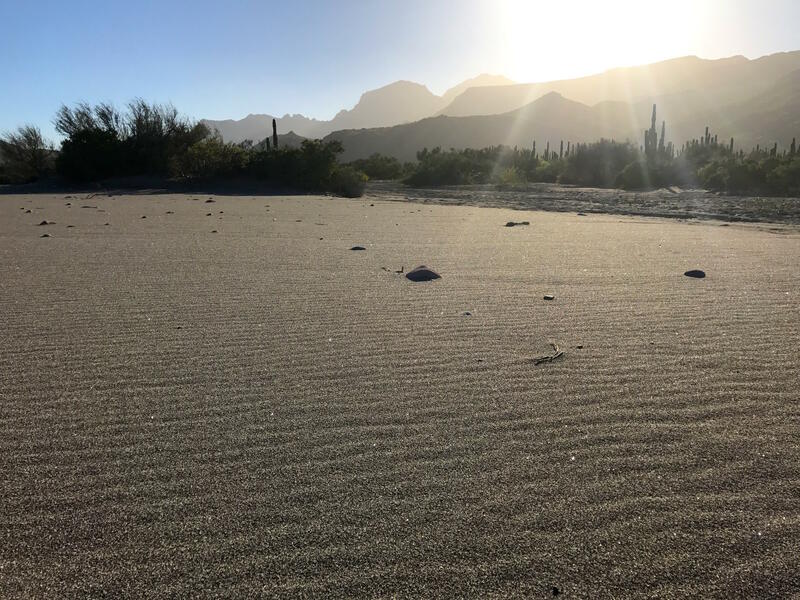 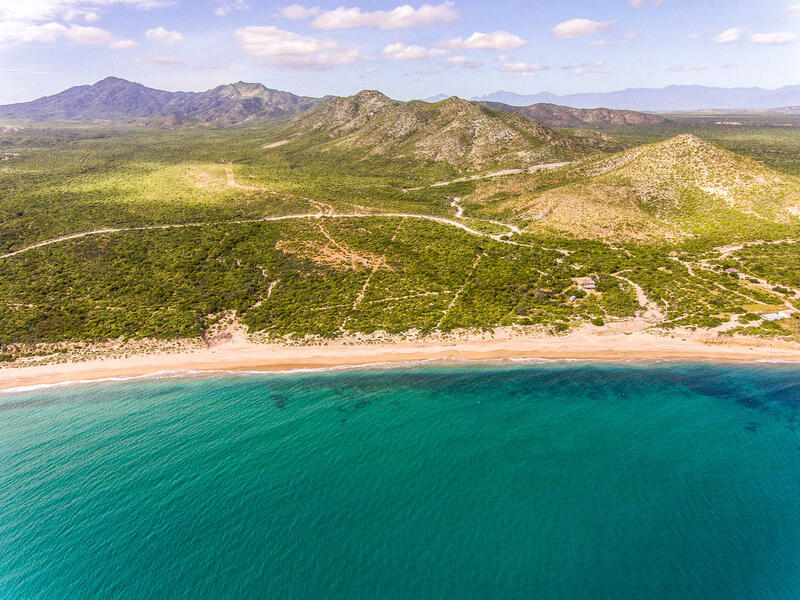 The boundaries of the Cabo Pulmo Marine Park encompass 200 meters (656 ft) of the beach front with the famed 8th coral reef just a short swim or paddle from the front of the property. 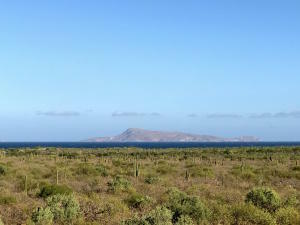 Description: HERMOSO PREDIO DE 471 HECTAREAS PARA DESARROLLO HOTELERO YA QUE CUANTA CON UN FRENTE DE PLAYA DE 4 KM ES UNA ZONA VIRGEN FRENTE A LA ISLA SAN JOSE.